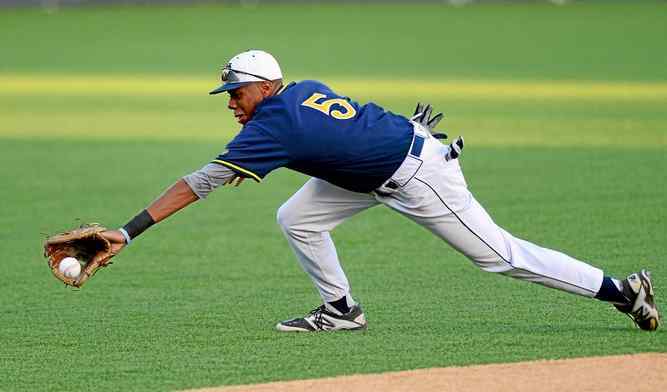 Minor League Madhouse | Baseball and Football Prospects… And Everything Else. Baseball and Football Prospects… And Everything Else. Starting today, December 9th, 2016, Minor League Madhouse will no longer be a WordPress website. With MLB.com blogs switching their hosting network to Medium, and encouraging all MLBlogs fan blogs to do the same, I have decided to follow along, and have migrated all content from the website over to a new site. If you’re wondering why there will be less content, it’s because I have accepted a position to write for Baseball Ranks. 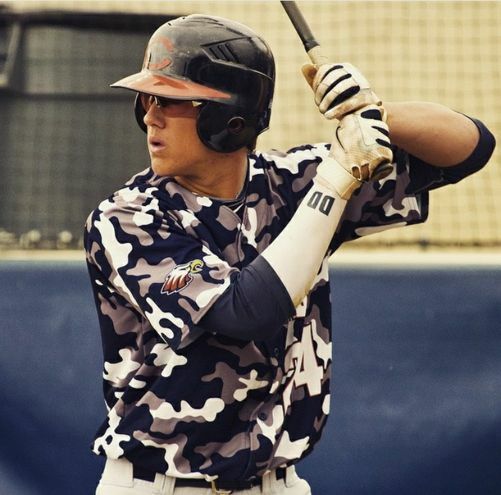 Baseball Ranks is a website devoted to extensively covering minor league prospects. I will be part of the team as an MLB Draft expert and contributing writer. I highly recommend you check their site out. Minor League Madhouse isn’t dead, and it won’t be for a long time, however, with changes coming to MLBlogs, it was time to migrate over to Medium. I thank every single one of my readers who were with me when I started this website in February of 2013. When I started this website, I did it more as a hobby than anything else. I did not expect it to become as big as it was. Being able to bring attention to baseball prospects and the MLB draft soon became more than a hobby, it became a mission. I can’t thank all the people who have made this journey possible, including you, my readers. I’d especially like to thank all the prospects who ended up joining me on The Final Out, the short lived podcast I hosted from 2013-14. Michael Fulmer, I am forever indebted to you, and your hashtag #NimmosGotPipes. Thank you for letting me know about Jacob deGrom before he became the star pitcher he has become. And once again, congratulations on winning the AL Rookie of the Year award. Zack Hample, thank you for your insight into ballhawking. While the internet may view you with a critical eye, I admire your passion for what you do. Perhaps one day, we can catch a White Sox game that Alex Katz is pitching. Jameson Taillon, Alex Dickerson, and the Altoona Curve management, I thank you for taking the time out of your day to talk about your experiences as well, even though the cell reception was absolutely terrible. 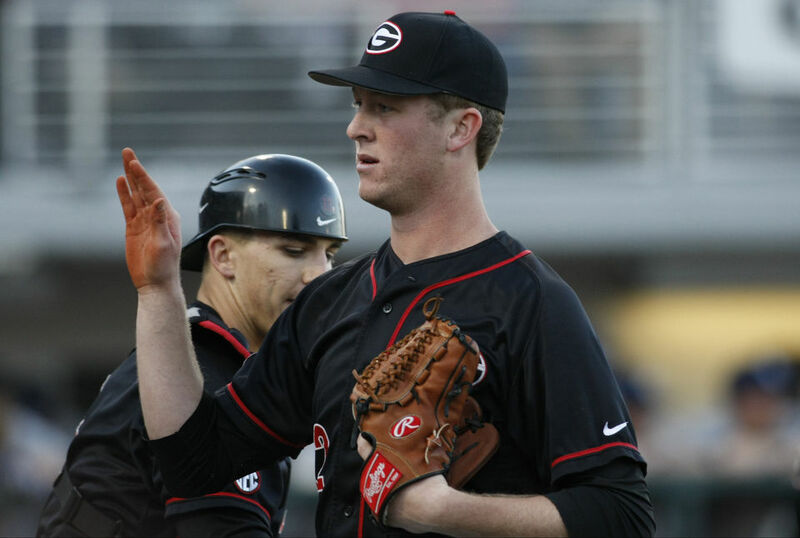 Zac Person and Michael Gettys, thanks to you as well. So once again, I hope you check out the new site, and also, read my content on Baseball Ranks. See you all in 2017! It’s been one hell of a summer hiatus for MinorLeagueMadhouse, with real life taking up a lot of time, but fear not, dear readers, today, you will have your first updated content since June. As it was last year, the first version of the mock draft will have no explanations, and will just be names and photos. When MLB Pipeline releases their 2017 draft rankings, likely in December, the explanations will be listed. Until then, feel free to speculate. Minor League Madhouse offers its condolences to the family of Donny Everett. Everett, a highly regarded freshman, drowned yesterday in Normandy Lake, a day before Vanderbilt was to begin their regional against Xavier. 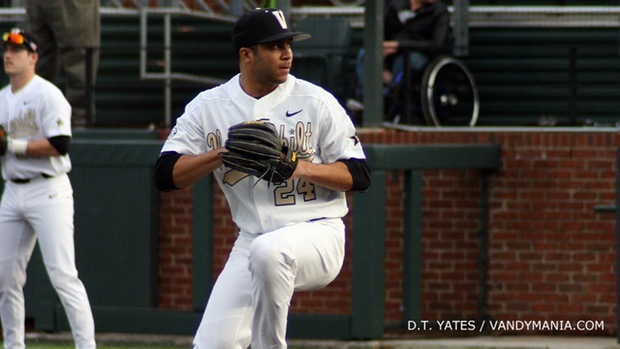 Everett came to Vanderbilt after a highly decorated prep career for Clarksville High School. 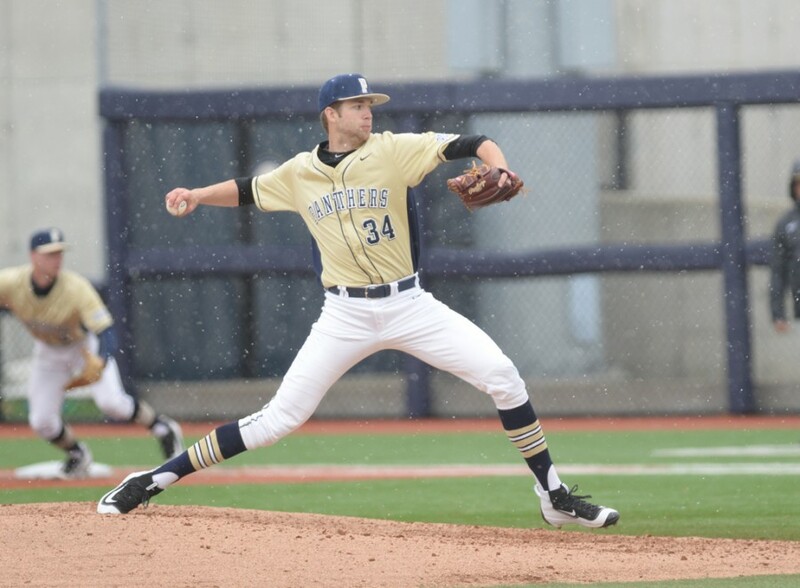 Regarded as a potential first round pick, Everett was drafted by the Brewers, but opted to go to college instead. 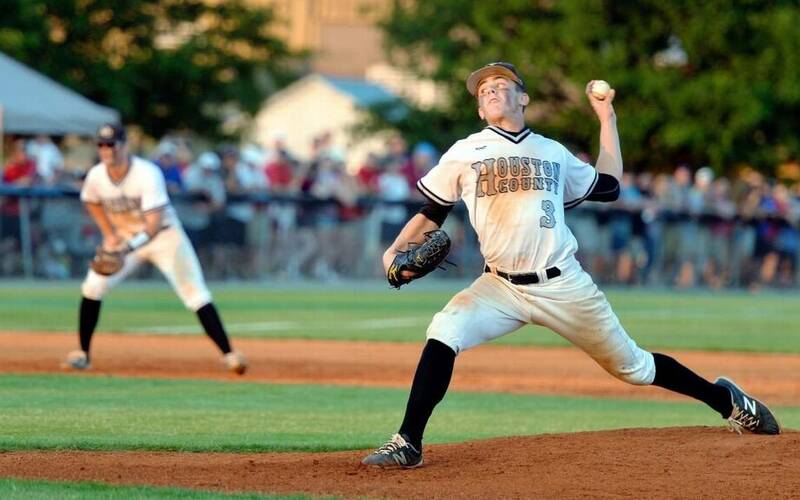 In one season for the Commodores, Everett pitched out of the bullpen, finishing with an 0-1 record, a 1.50 ERA and 13 strikeouts. 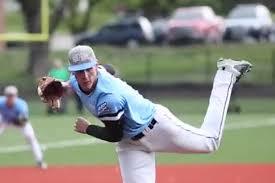 He was scheduled to pitch in the Cape Cod League after the season ended. Rest in peace, Donny. Anchor Down. 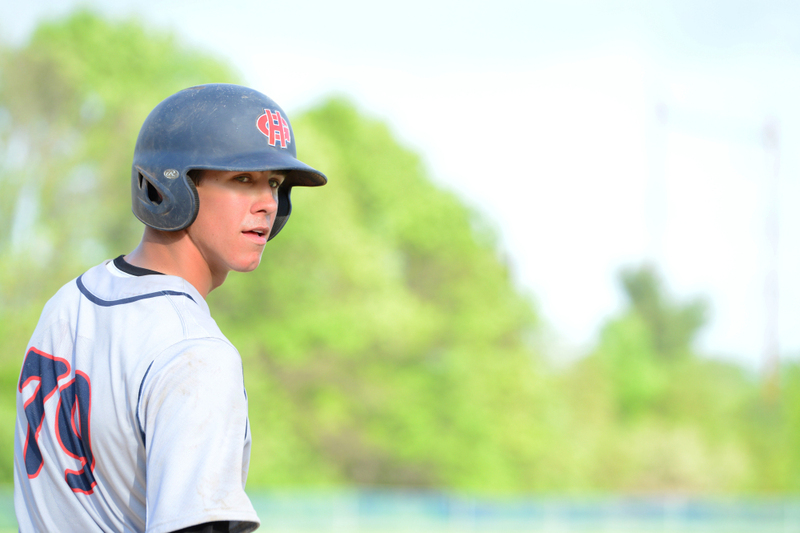 All good things must come to an end, and in this case, it’s speculation on who will be taken where in the 2016 MLB draft. It’s been a wild year, both for college and prep baseball, and with the draft landscape really starting to take shape, i.e. teams are starting to be more clear about whom they are taking, if not player-wise, then position or level-wise. Anyway, this mock will cover the entire first round, with explanations for picks, then the compensatory picks, with shorter explanations, then the competitive balance round, with maybe a blurb. All in all, it’s been a fun, speculative ride, and I thank you all for reading the mocks. 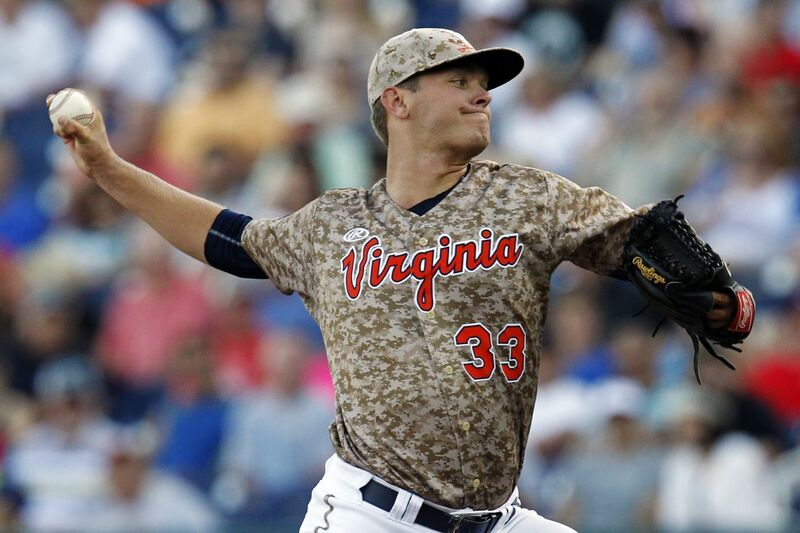 Every year, it’s the same narrative: In the MLB draft, you take the best player available. No player is a sure shot to be a star, let alone make it, and anything can happen. It’s that exact reason why not many people do MLB mocks because there isn’t any instant gratification of seeing players play in the majors immediately. That being said, this year’s class has been hard to measure. On the one hand, some impressive college players have made compelling cases, on the other, prep products have really opened eyes, and not just in hotbed states like California and Florida. Diatribe aside, Philly can’t go wrong with this pick. They have a strong system that can only get better with whomever they take. 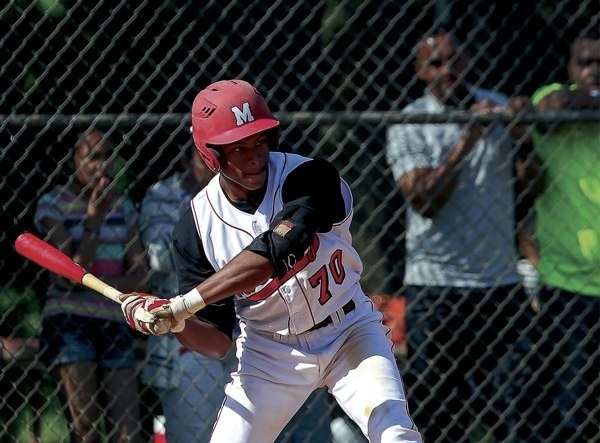 Rumor has it that they are planning on going after an outfielder, and if this is so, Kyle Lewis may be their guy. 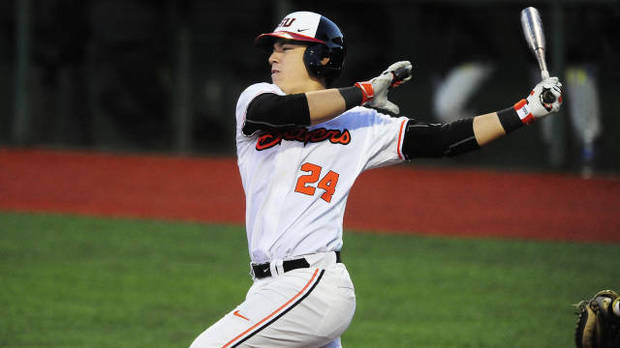 Despite having one of the weakest schedules of any collegiate prospect, Lewis has more than compensated by completely obliterating his competition, and has cemented his place as one of the NCAA’s best hitters by virtue of being in the top ten in batting average, home runs, and RBI among NCAA baseball players. Lewis’ bat would translate well to the hitters haven that is Citizens Bank Park, although his defense would likely limit him to a corner spot. If he can adjust to the competition spike, he has the potential to be a vital cog in the Phillies’ lineup, giving the team a power hitter they haven’t had since Ryan Howard’s prime. I look at the Cincinnati Reds as a team that, should everything break right, and their prospects all develop, they can get back to competing with the Cardinals, Cubs, and Pirates in a few years. While their pitching staff definitely has the potential to wow, especially considering how much they got for selling off Johnny Cueto, their lineup does remain a question mark, especially since Jay Bruce and Joey Votto will be gone. 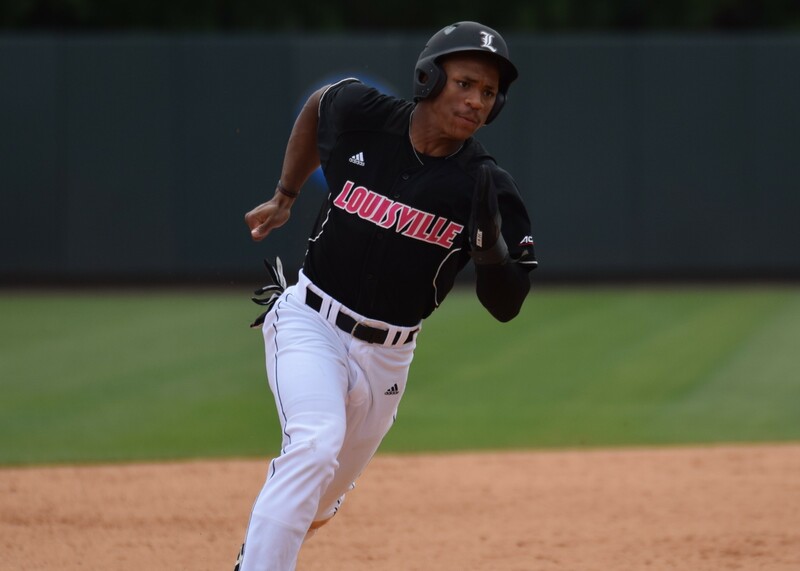 One of the better athletes of any class is in this draft, Louisville outfielder Corey Ray. Ray can fit anywhere near the top of the lineup, he has the speed to be a leadoff hitter, and the power to hit in the 3 hole. Ray’s one knock is where he will play defensively, while he can cover a lot of ground, his arm is considered his weakest tool. In a small ballpark like GABP, Ray could thrive as a run producer. Additionally, his arm strength issues could be ignored if he can contribute in the lineup. At the beginning of the year, the biggest debate among draft nuts was who was the better prep pitcher, Jason Groome, or Riley Pint? 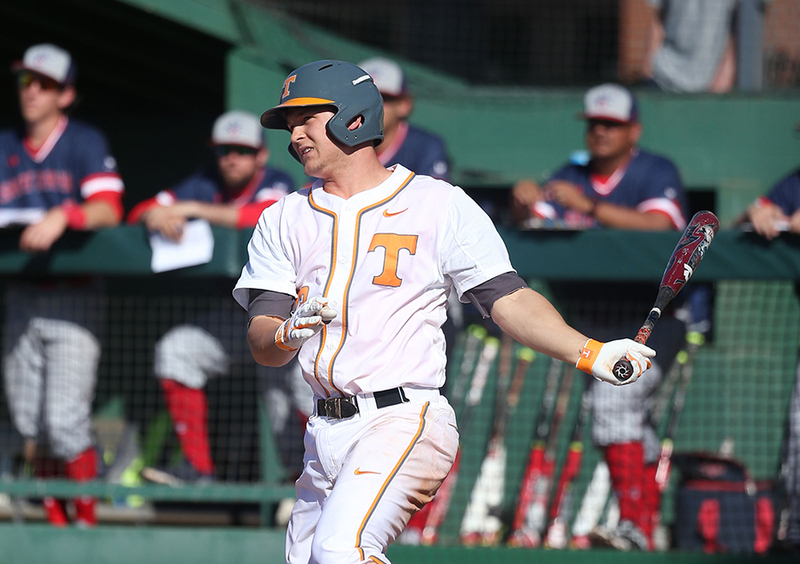 As the season wore on, more and more debates came up, who’s the best college hitter? Are the Phillies planning on taking Groome? etc. etc. 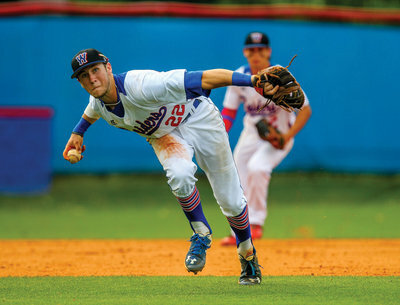 However, the most unrecognized debate had to go to who the best prep outfielder is in this draft, and it was between Blake Rutherford, an established candidate and Mickey Moniak, someone who had been considered a potential first rounder, and who has since risen to the point where he could even be the first overall pick. Moniak may not have the power that Rutherford does, but he’s been regarded as a solid contact hitter with the ability to play a professional centerfield. 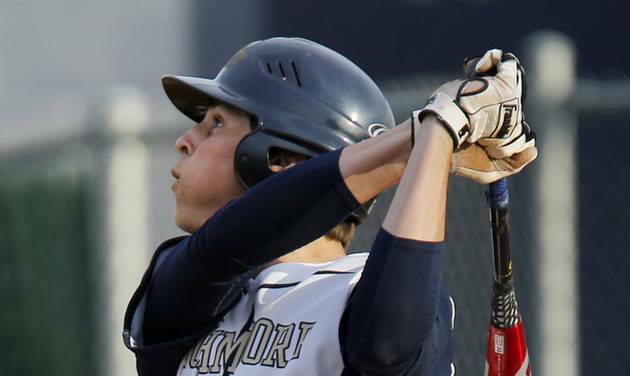 Although the Braves have all but said they’re taking a college hitter with this pick, considering how weak the college hitting class is, it’s possible they could gamble a bit and grab a higher ceiling player, and should they acquire another competitive balance pick, they could add more money to their bonus pool. 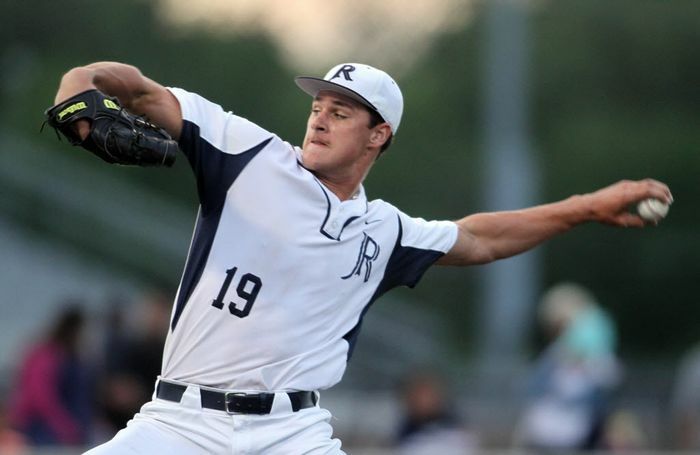 In 2013, the Colorado Rockies selected what many believed was the top pitching prospect in the draft with the third overall pick. In 2015, they drafted the best overall prospect in the draft. Now, they stand in a great position, with either one of the top players likely to fall into their lap. While the no-brainer pick would be to go for the consensus top prospect, it’s likely if this scenario plays out, they go a safer pick. Having failed to develop a solid starter from the prep ranks, it’s possible that should AJ Puk be available, he’s their pick. Put may not have put together the strongest season, but he’s been regarded as one of the more consistent picks available, never really falling out of the top 5, despite questions regarding his durability. Puk and 2014 first rounder Kyle Freeland. who has really resurrected his top prospect status in Hartford, could make for a nice future southpaw 1-2 punch to go alongside Jon Gray and future rotation piece Jeff Hoffman. The Milwaukee Brewers are in rebuilding mode, there’s no sugarcoating that, and it’s clear that in addition to selling off their top players for prospects, the scouting department will have carte blanche to pick the best player available at the 5th spot. The past two drafts have seen Milwaukee select high ceiling prep talent like Kodi Medeiros, Jake Gatewood, Monte Harrison, Trent Clark, and Demi Orimoloye, is it possible this continues? 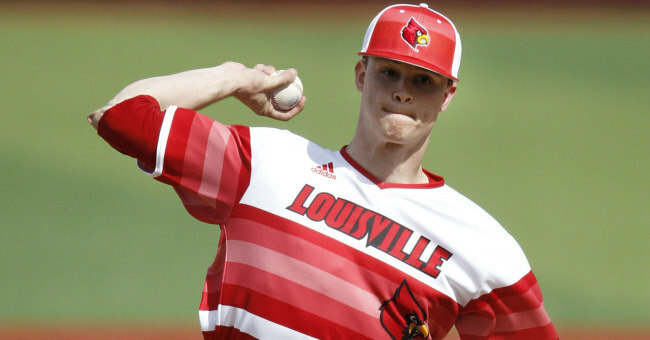 If the draft plays out this way, the Brewers might actually have a shot at what many consider to be the top talent in the draft, Jason Groome. 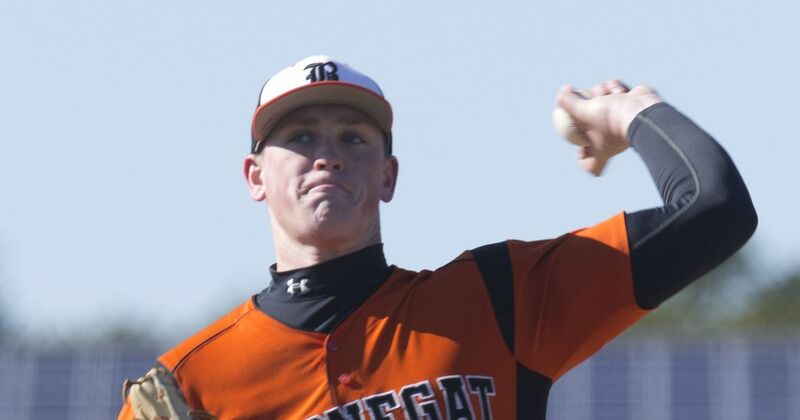 Groome’s senior season at Barnegat has taken its fair share of twists and turns, he was exceptionally dominant early on, even throwing a no-hitter, the first in school history, before being ruled ineligible, then later suspended for two weeks for violating the NJSIAA transfer rules. Since then, he’s been up and down. 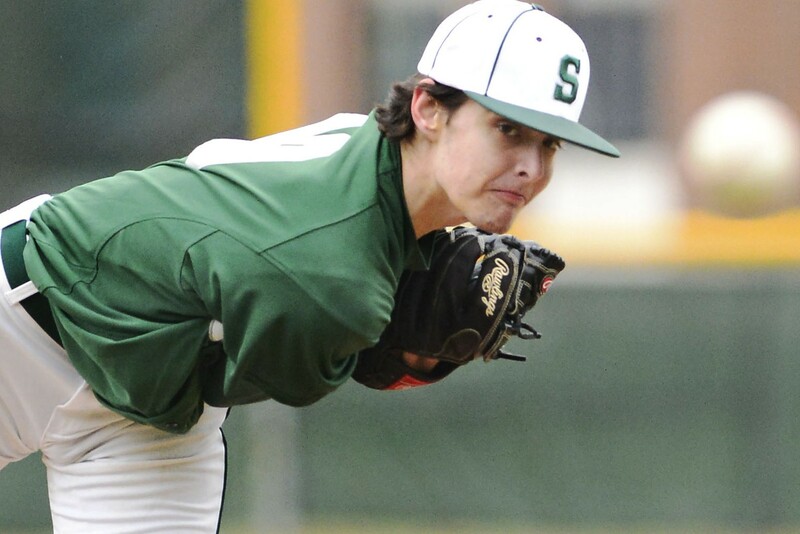 Milwaukee isn’t risk-averse, they took Harrison despite a strong commitment to Nebraska, so it’s possible they might make a hard push to get Groome, who is committed to pitching for Vanderbilt, should he land here. The 2016 MLB Draft will be the first in 20 years that Billy Beane will not oversee as GM of the Oakland A’s, having been succeeded by David Forst. Though Beane does not sit in the GM chair, it’s likely his influence will still be there as he currently is the executive VP of baseball operations, and Forst is a Beane protege. The question is, how will Forst handle his first draft? 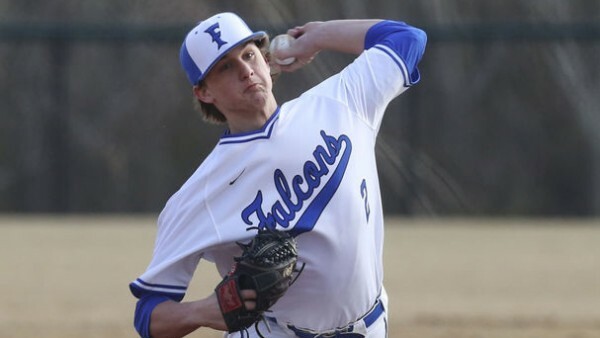 If the Moneyball draft philosophy still stands, it’s likely that Forst will avoid prep pitchers at all costs, but could still make a run at a college pitcher, and no better option is available than Dakota Hudson. Hudson really raised his stock from a potential late first rounder to a top 10, maybe top 5 pick. Hudson has the body of a pitcher, and his pitches range from above average to plus. He would make an excellent frontline starter and eventual successor to Sonny Gray. How does a team that has four picks in the top 15 in the past four years end up with one of the worst farm systems in baseball? Part of it may have to do with trading away two of those picks, and the stalled development of one, while it’s two early to tell on the fourth one. Let’s put it this way, Miami desperately needs a talent infusion in that system. At the seventh spot, there isn’t a lot of tier 1 talent left, but what is available could fit well into Miami’s future plans. 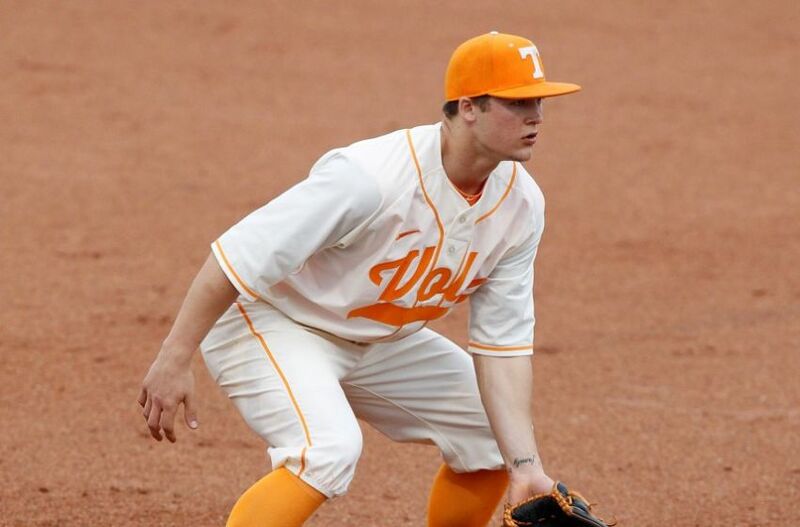 I put Nick Senzel here a while back, and soon afterwards, he made a convincing case to stay there with an excellent season, to the point where Baseball America had him as their second ranked player available earlier in the year. The main selling point on Senzel is his ability to hit and hit, to the point where it trumps his positional uncertainty. 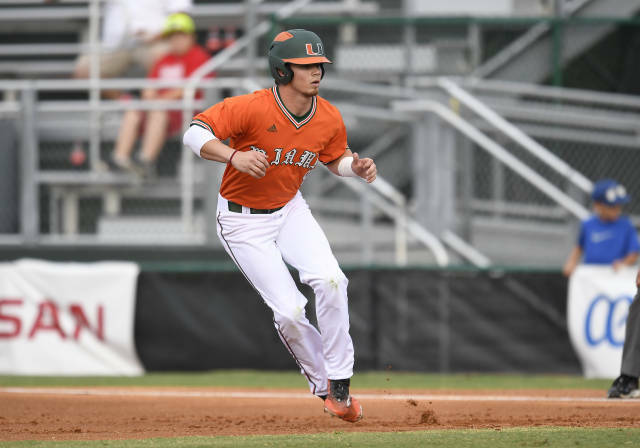 With Senzel succeeding as a third baseman during his junior season, it’s all but certain that’s where he will be playing professionally, and considering Miami’s options at third, if he is available here, he would make the most sense. Three first round picks in the top 25 is going to give you a lot of room to work with, and it’s clear the Padres want to hit a home run with this draft after last year’s disastrous all-in splurge. I wouldn’t be surprised if AJ Preller decides to take some risks here, maybe a high ceiling player with an injury, or a player that may be a tougher sign. 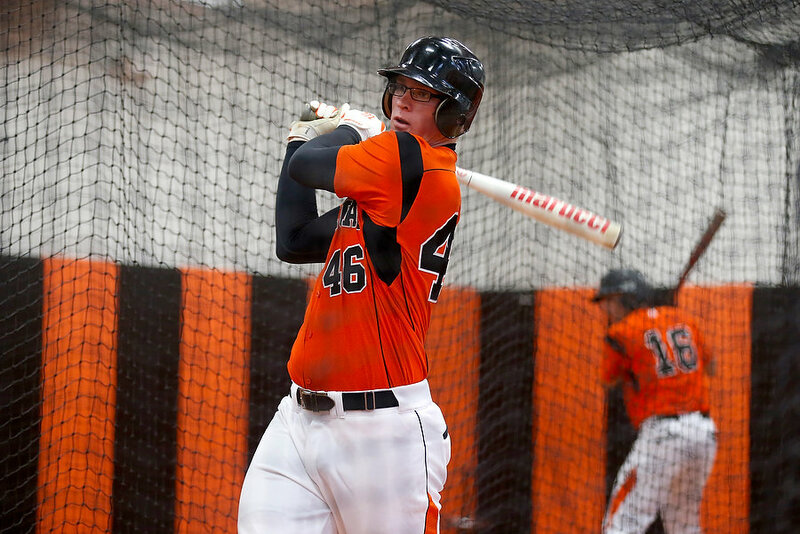 While we may be robbed of the debate over who would be the #1 pick between this year’s best prep arms, Jason Groome and Riley Pint, it still will be fun to see how each adjusts to pro ball. Pint especially, considering his 102 mph fastball is something to behold. His character is also a plus, and will get him far in the minors. Pint’s ability should give the Padres something to cheer about, considering how long it’s been since they’ve drafted, and kept, a star player. I’ve made it abundantly clear in the past that I have a soft spot for NECBL alums, having interned for a team back in 2014. And to be honest, there have been some very good players that have come out of the league. Joe Nathan, Stephen Strasburg, and AJ Pollock all come to mind immediately. 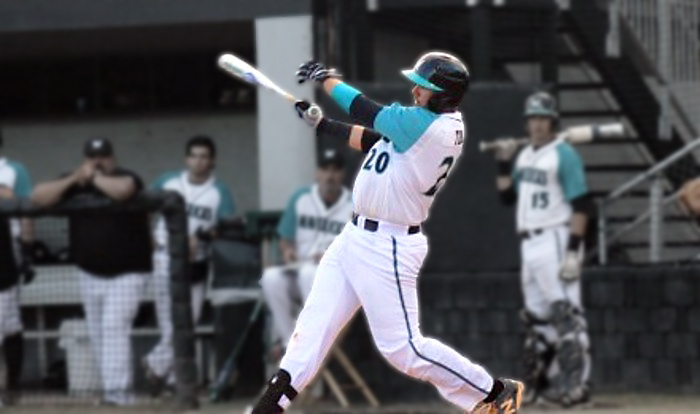 This year’s batch of NECBL alums is highlighted by Laconia/Winnipesaukee alum Jordan Sheffield. 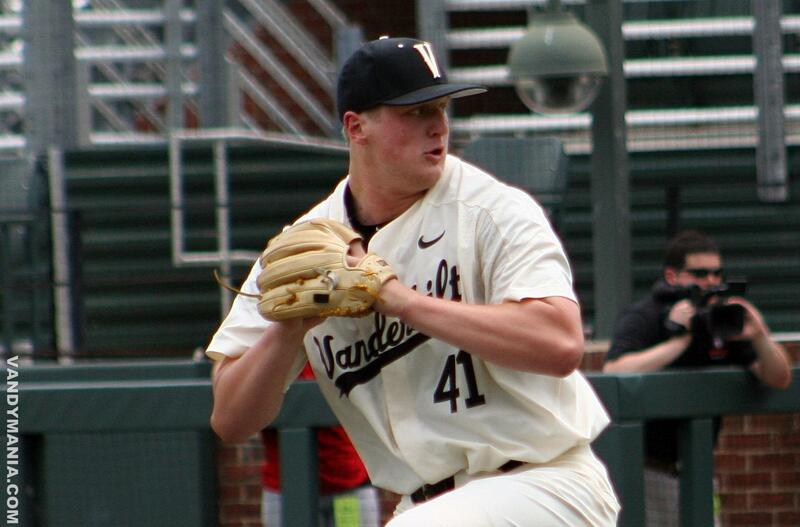 Sheffield comes from Pitcher U, Vanderbilt, and since taking over as Vandy’s ace, has shown that he has an arm. 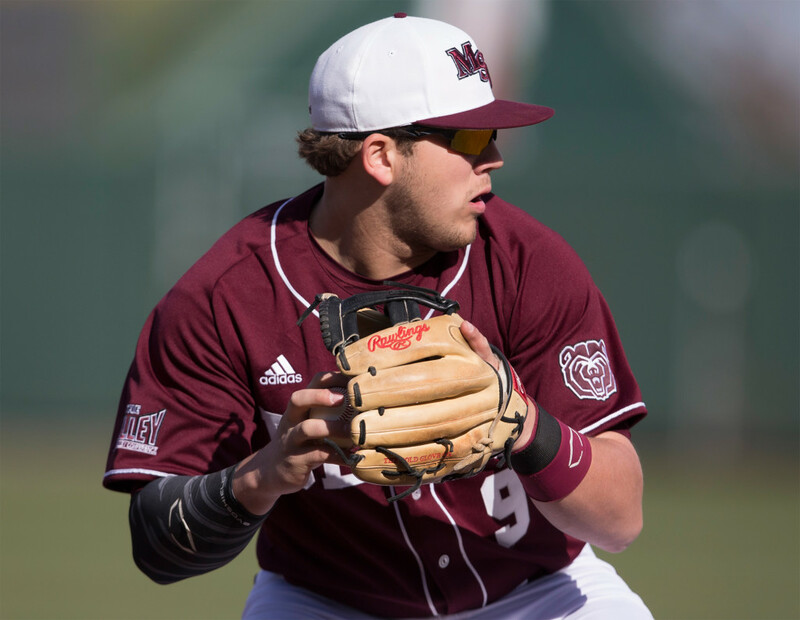 Considering the Tigers like fireballers that come from the SEC, Sheffield seems like the perfect fit, and can further justify this pick by performing well in both the SEC and NCAA tournaments. 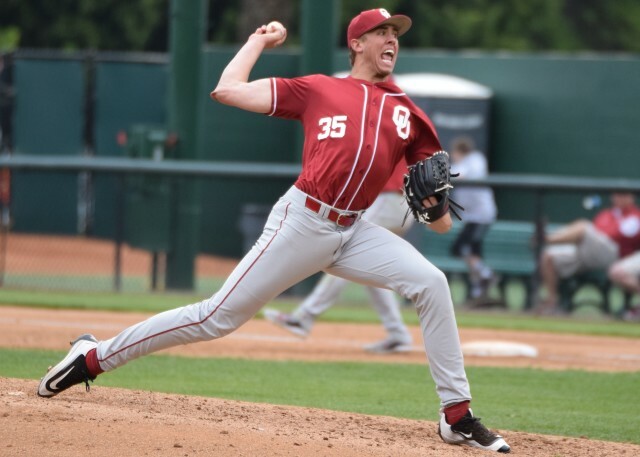 Concerns about his control aside, Sheffield could end up being yet another example of how height shouldn’t be an indicator of potential success as a pitcher. Interestingly enough, Jordan’s uncle Gary Sheffield was also a member of the Tigers from 2007-2008. The White Sox have come a long way since having one of the worst farm systems in baseball in 2014. 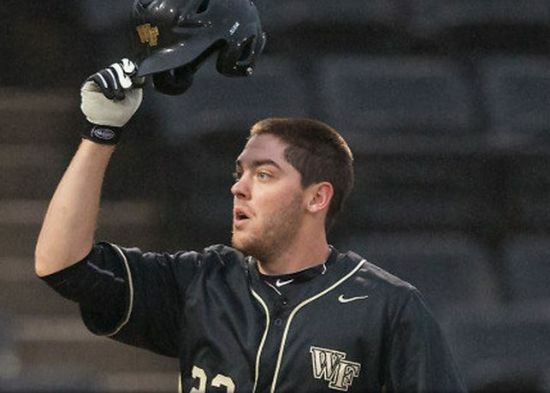 With Carlos Rodon running through the system quickly, and with Tim Anderson and Carson Fulmer waiting in the wings, maybe the White Sox can use this draft to improve the system even more by drafting some high ceiling prep talent. 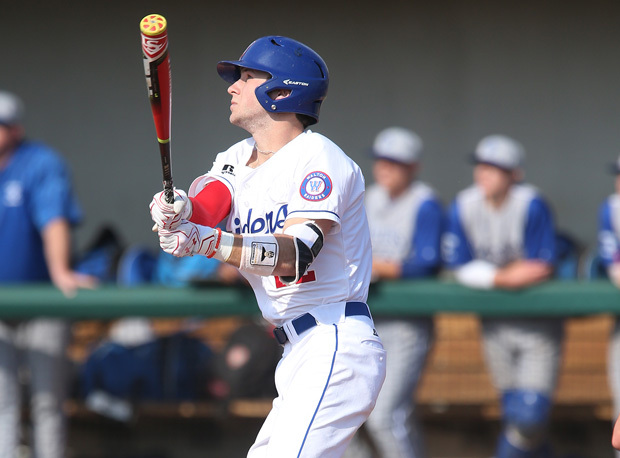 While we already touched on the subject, there’s no denying that Blake Rutherford has to be one of the better prep bats in the country, in fact, he’s so good that he was included on the Golden Spikes Award semifinalist list earlier this year, the only high schooler to be included. 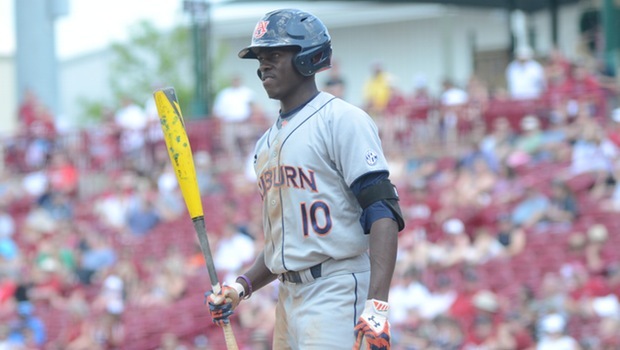 Despite concerns that he would suffer from prospect fatigue like Daz Cameron last year, it’s clear that he’s still one of the top talents, and the only thing that could possibly drop him is a strong commitment to UCLA, which is highly unlikely. Rutherford may be old for a high school player, he’s actually older than some of the high schoolers from last year’s draft. but if the adage that advanced age = advanced bat is true, Rutherford could actually make the big leagues faster than your average prep bat. Overall, Rutherford’s tools are about on par with that of some college players and it would be hard for a team like Chicago to overlook him. Some teams are good at developing talent, while others are better at procuring talent. Seattle falls in the latter category, as while they have had two of their first round picks in the last five years make the major leagues, most of their success has come from outside help, like Nelson Cruz or Robinson Cano, or Dae-Ho Lee. While the Mariners have had other successes that came from their system in years past, see Ken Griffey and Felix Hernandez, any Mariners fan will tell you that their team is just awful at player development. In order to remedy the situation, I feel the Mariners should go for one of the safest picks you can possibly make, Zack Collins. 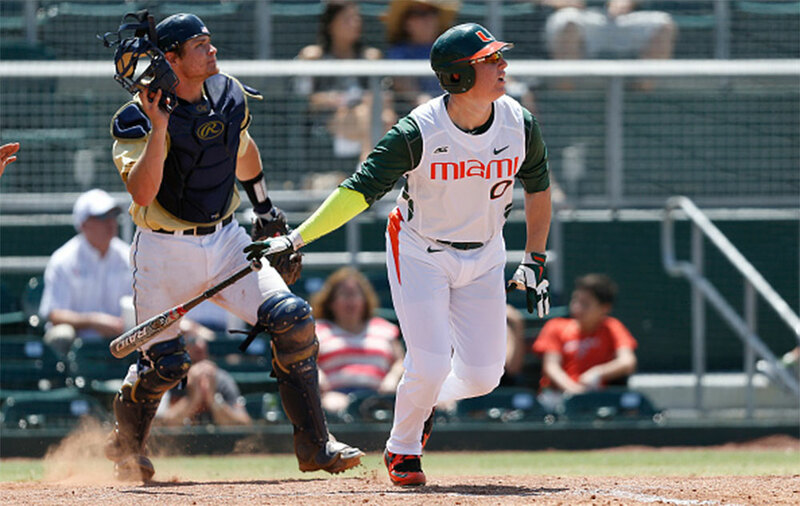 Not only can Collins hit, he comes from one of the best programs in the country for developing talent, Miami. Collins’ only question mark is where he will play in the future, some say he’ll stay behind the plate, others think that he’ll move to first, and others consider him to be a Billy Butler-type DH. 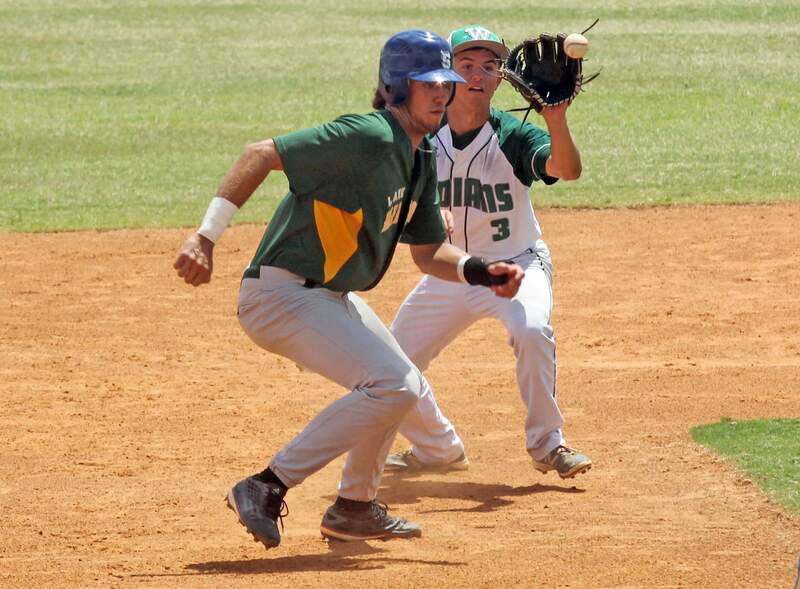 Collins also has had time at third base. Regardless of his future position, Collins’s power almost certainly qualifies him for a cleanup role in any lineup. even one so power dependent as Seattle’s. When you think of Upstate New York, one thing you will probably never associate with the region is baseball. Sure, there are some minor league teams, but the combination of weather and lack of exposure really makes it seem like any baseball that isn’t minor league is more of a recreational activity. 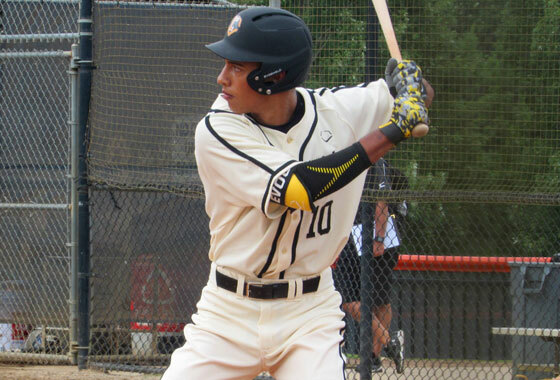 However, last year, that changed when Garrett Whitley became the first Niskayuna High School draft pick ever. 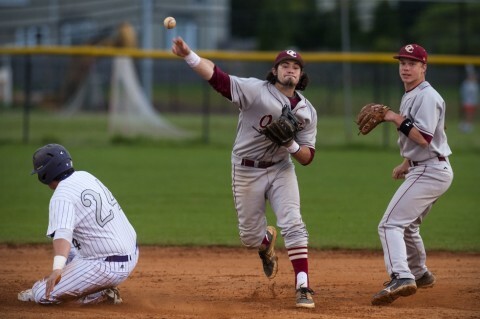 Whitley’s selection must have had a ripple effect, as a player he faced his senior year, Ian Anderson, has really gotten attention and has the potential to be a top pick himself. Anderson may be skinnier than your average hurler, but he has a solid fastball that allows him to make up for that. Anderson does come with an injury concern, having strained his oblique early in the year, and his commitment to Vanderbilt will almost certainly cost Boston or whomever draft him. Still, Anderson has the makings of a future rotation piece, and his ability to play in cold weather is a plus. Anderson might be motivated to sign with Boston as well, since the Red Sox are his favorite team. I’m fairly certain the Tampa Bay Rays would love to have a do-over of the 2008 MLB Draft. 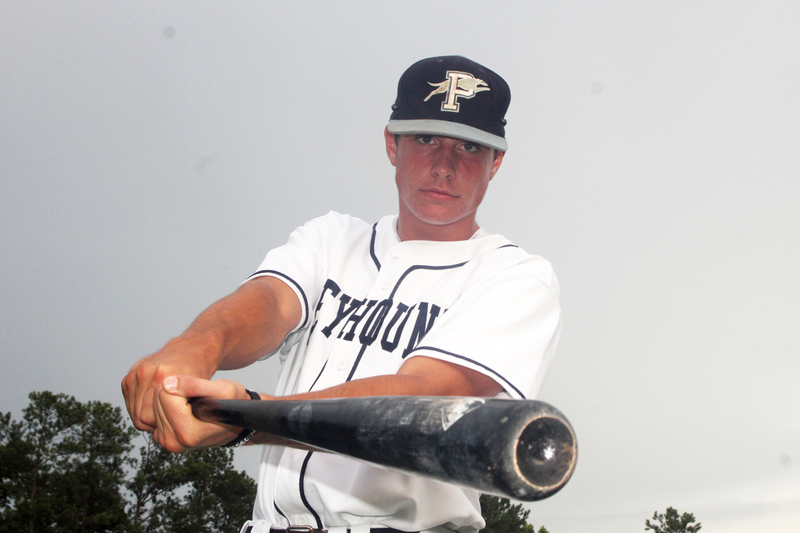 With players like Buster Posey and Pedro Alvarez available, they ended up taking Tim Beckham out of Griffin High School in Georgia. Now all due respect to Beckham, who has since become serviceable, but in all honesty, there’s no denying that Posey and Alvarez would have been much better picks. 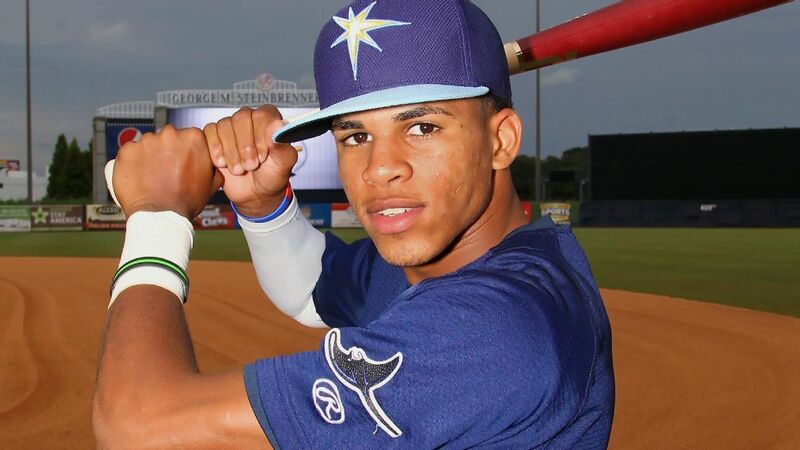 At the 13th position, the Rays may not have the ability to get as good talent, but should someone like Delvin Perez slip to them, you can bet they’ll pounce. Perez may be a throwback to the shortstops of yore that could field better than hit, but in this day and age, a great fielding shortstop is an asset, just ask Atlanta, who ended up scoring two top pitching prospects as compensation for trading Andrelton Simmons. Perez has the glove and the arm, and although his bat may be developmental, there definitely is potential for growth. At worst, Perez hits toward the bottom of the lineup, but at best, he evolves into a solid leadoff hitter. Additional plusses are his youth, he is the second youngest player in the draft, behind Ron Washington, and his lack of a college commitment, meaning whomever takes him will find him easy to sign. The Indians’ minor league system is one of the better, if more under appreciated systems in baseball. Over the past five years, the team has opted to take plenty of high ceiling offensive talent, like Francisco Lindor, Clint Frazier, and Bradley Zimmer, to go along with solid pitching talent like Justus Sheffield and Brady Aiken, as well as Rob Kaminsky, who was acquired from St. Louis. It’s clear that the Indians will have a wealth of talent in the coming years. While the Indians aren’t likely to get a Tier-1 player at the 14th spot, they could still net a solid player like Josh Lowe. 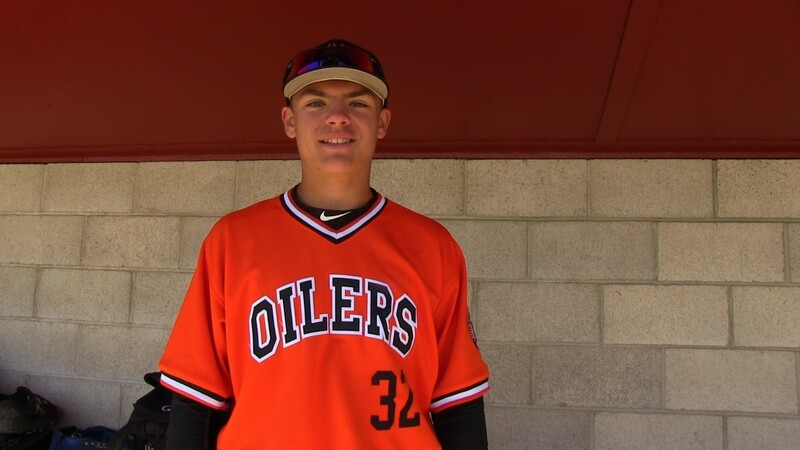 Initially split between third base and pitching, he has since gravitated more towards third base, adding value to a very solid offensive prep class. 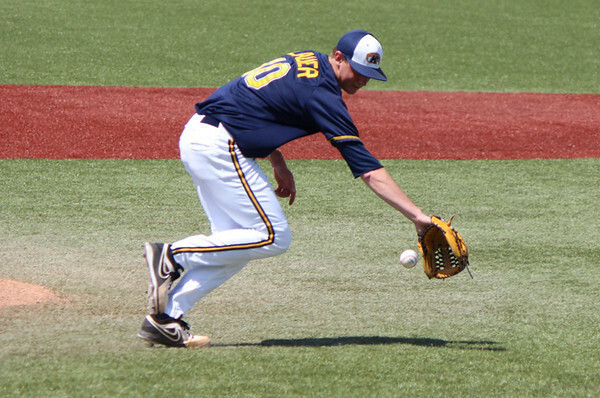 Lowe stands to stay at third defensively because of his arm strength and his contact and power can only improve. He and Francisco Lindor would make up a very solid left side of the infield for the Indians. What happened to the Twins? A year ago, they were competitive up to the final week of the season, now, they look like an early favorite for the Tanner Houck sweepstakes. Considering the young talent that makes up the nucleus of this team,, and the fact that they’ve gotten almost a full year under their belts together, it makes no sense that they should be this bad right now. While the pickings aren’t as plentiful for the Twins at the 15th spot, they stand to benefit from a connection to one of their recent draft picks. 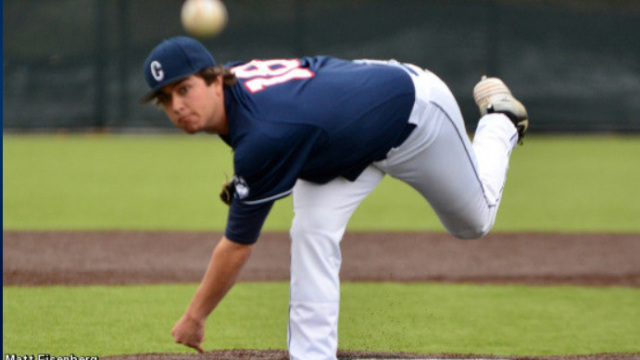 Although Nick Burdi’s flame throwing younger brother is available, I can see the Twins grabbing Tyler Jay’s college teammate Cody Sedlock here. Like Jay, Sedlock is a converted starter, though Sedlock was actually converted in his junior season. 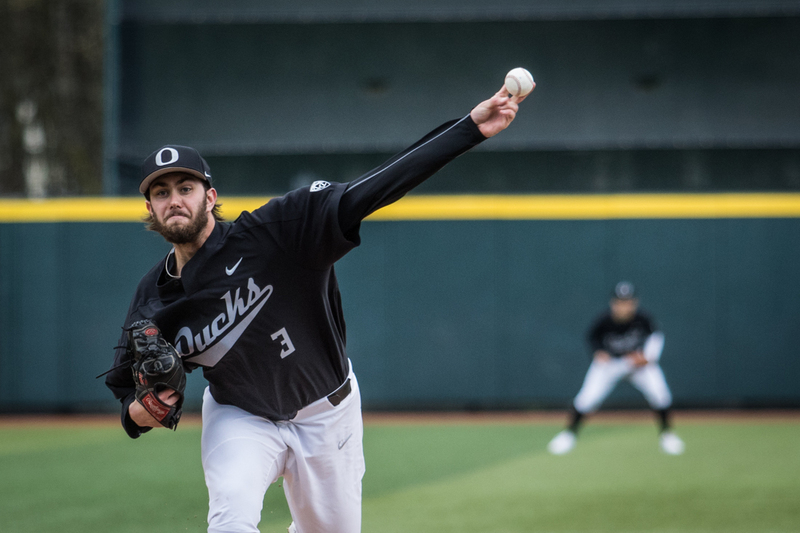 The reigning Big Ten Pitcher of the Year has a variable arsenal of pitches: a solid fastball and sinker, an above-average slider, and developmental curve and changeup. 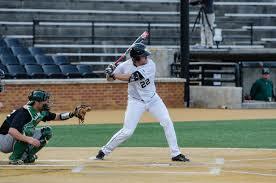 He has the body type that many associate with a starter, and at the very least, will induce many groundball outs. Having Jay and Sedlock in the same rotation should give the Twins an added chemistry boost, and could add more promise to what can be seen as an interesting future rotation. It’s clear that the Angels aren’t risk-averse when it comes to taking certain players in the draft. Mike Trout, Sean Newcomb, and Taylor Ward are all examples of this. But given the system that the Angels have, it may be time to dial back the risks a bit and go for something a little safer. Much like the White Sox and Carlos Rodon back in 2014, I can see the Angels grabbing a player here that could run through the system quickly and contribute in the near future. 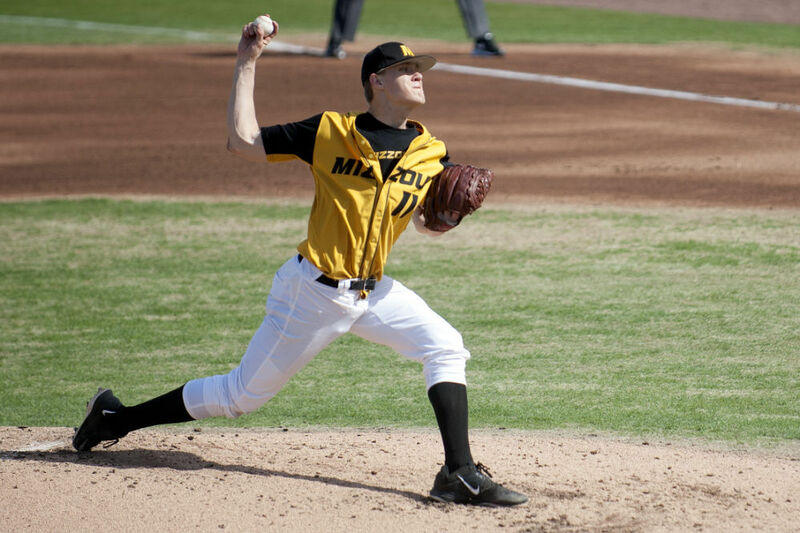 In my opinion, Zack Burdi is by far the safest pick you can possibly make in the draft. Burdi has his brother’s pedigree, but because his fastballs are slightly slower and he has more control, there is definite starter potential. 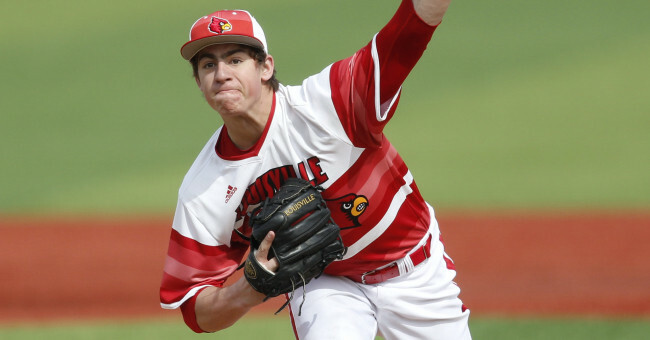 Burdi is also built like a starter as well. 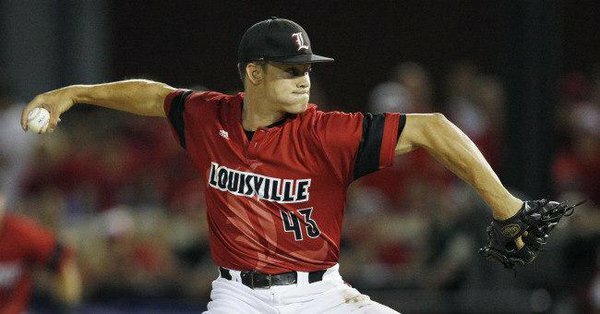 Considering the amount of bad contracts on the team, the Angels should really consider using this draft as the starting point for a total rebuild. For as much as we praise the Astros for building their team from the ground up, it’s clear that there’s still plenty of work to do. 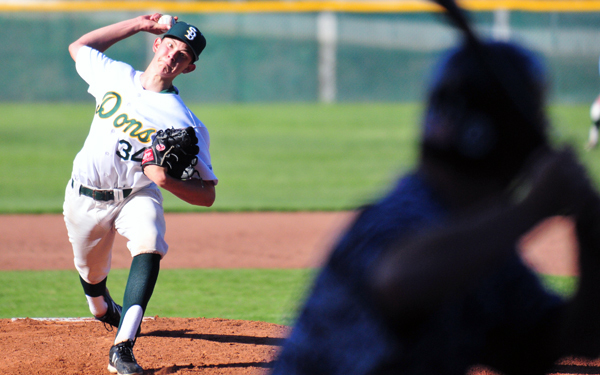 The farm system in particular could use a solid pitching boost. Considering how much the Astros gave up for Ken Giles, even if Mark Appel has yet to justify being the number 1 pick, it’s clear the Astros should spend this draft stockpiling future staff pieces. 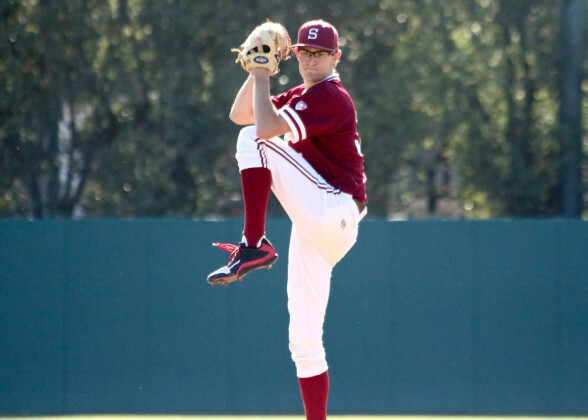 One of the more intriguing prospects in the draft this year has been Eric Lauer. 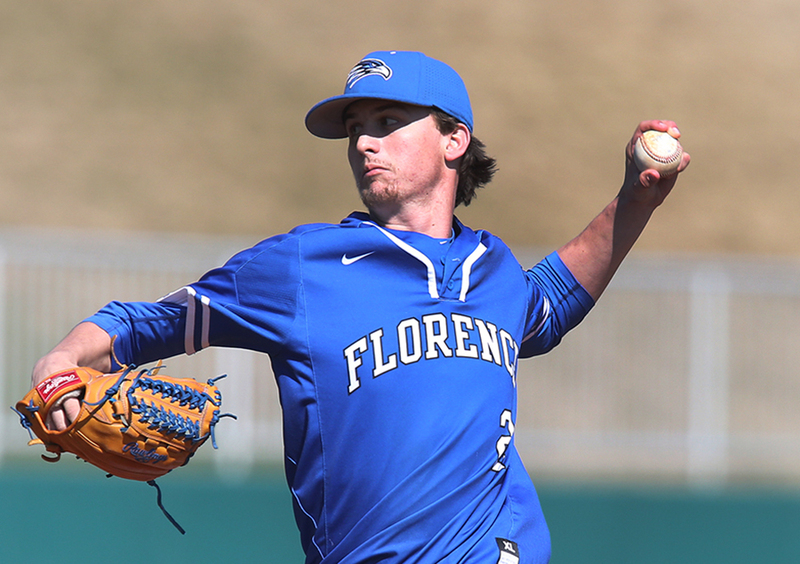 Lauer has been absolutely impressive this year, leading the nation in ERA and in the top 5 in strikeouts. Lauer may not pump premium gas, but he does make batters miss, and his pitch array gives him plenty of options. 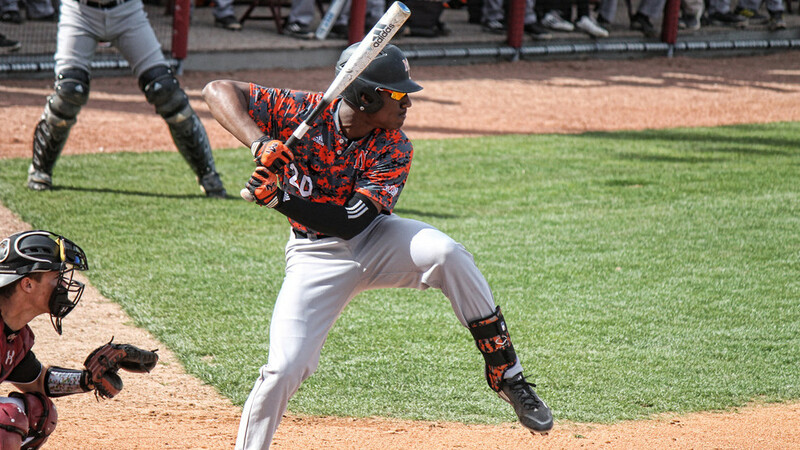 His performance in the MAC tournament could further improve his draft position as well. It must be frustrating to be a Yankees fan, especially considering how much the team has struggled as of late. Since the Yankees are likely waiting until the 2018-19 offseason to make big moves, the front office should really look to the draft to keep the fanbase at least somewhat excited. 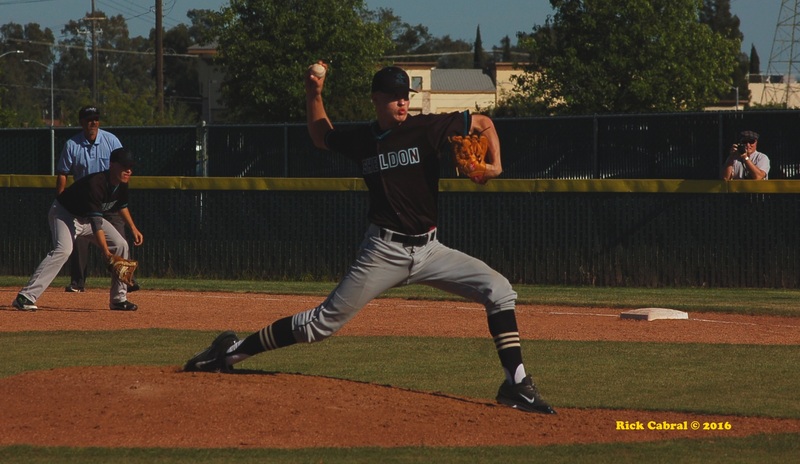 This year especially would be a good start, mainly due to the impressive, if unpredictable number of first round high school pitchers. 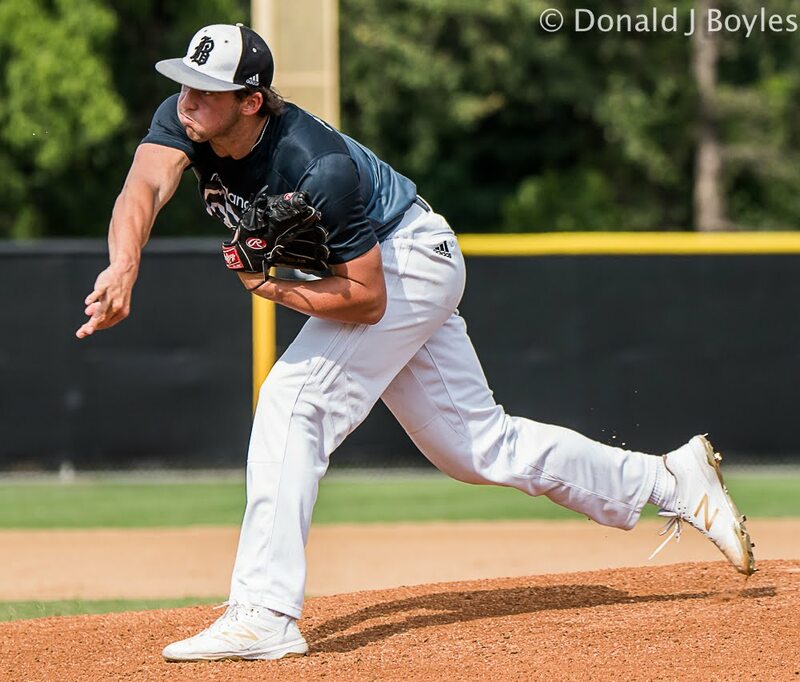 At first, the idea of the Yankees taking a prep pitcher from Alabama seems out of the ordinary, but Braxton Garrett is far from ordinary. A Vanderbilt recruit, Garrett took Alabama by storm and raised his stock to at one point where he was speculated to be a top 10 pick. Garrett’s one of the few pitchers on this year’s list whose secondary offerings are better than his fastball, though it’s possible he could build it up with time in the minors. 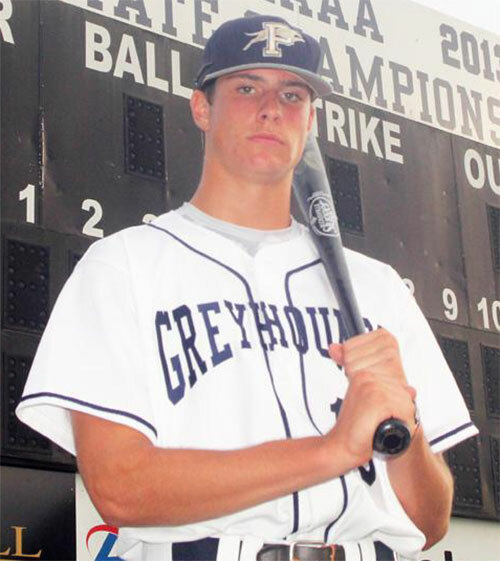 Although the Vanderbilt commitment is an obstacle, Garrett’s potential seems like the perfect opportunity for the Yankees to take a risk. 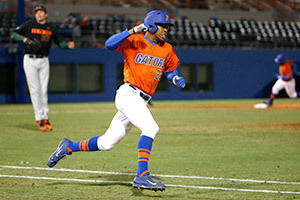 The common theme of the Mets’ drafts of the past few years has been getting one of the top hitters, either in the prep level (Dominic Smith) or in the college level (Michael Conforto, David Thompson). With Conforto’s success so far in the Mets’ lineup, and with David Wright edging closer and closer to the end of his career, it would make sense for the Mets to develop the next generation of hitters. 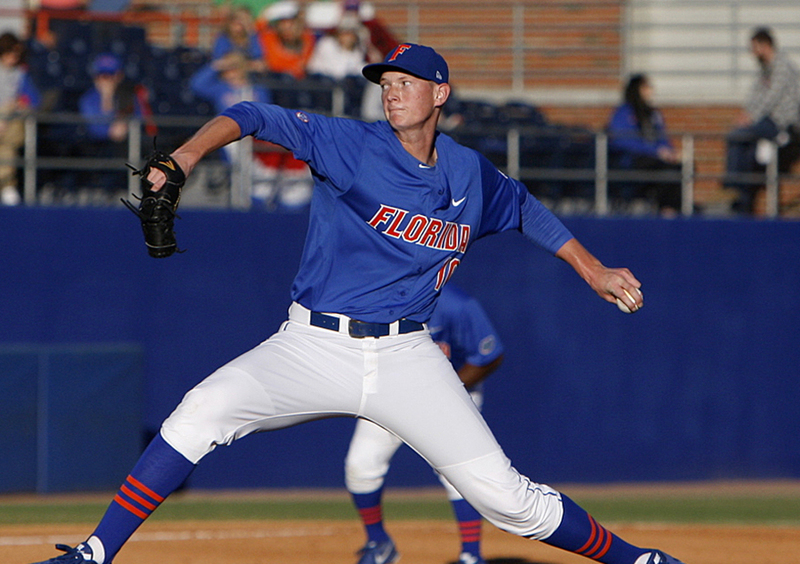 Probably one of the worst kept secrets in the draft has been the Mets’ infatuation with Will Craig. 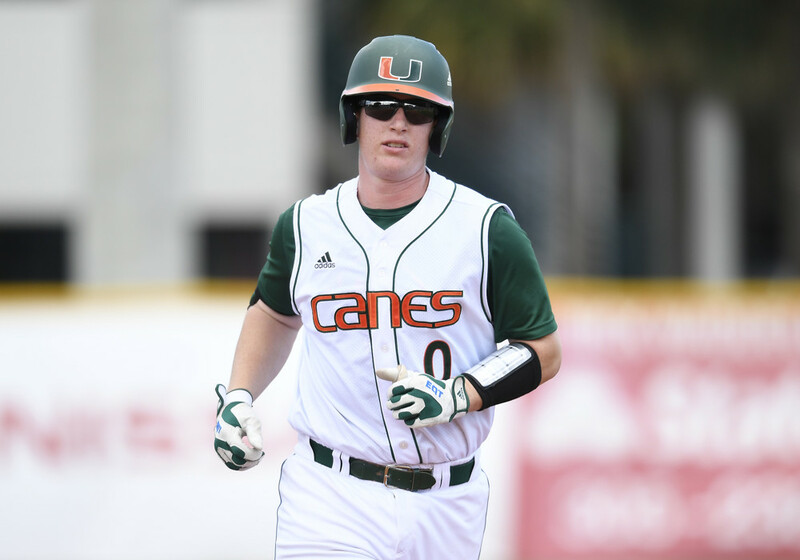 Craig, last year’s ACC player of the year, followed up on an impressive sophomore season with an even better junior season, and likely would have repeated as player of the year, had Seth Beer stayed in high school. Craig is a big bodied masher, although defensively, there are questions as to whether he’s a third or first baseman. If Craig’s offensive game can translate to the next level, it’s possible he can be the next Lucas Duda, only less streaky. Andrew Friedman would be regarded as a conservative drafter, if it weren’t for his risk-filled 2015 first round class. With Walker Buehler on the shelf due to Tommy John and Kyle Funkhouser coming back to school, the early returns of the Dodgers’ 2015 draft class are not promising. Regardless, every GM has a drafting philosophy, and if that’s the case, then we can expect Friedman to play the safe card again. Bryan Reynolds makes a lot of sense as a safe pick because while he doesn’t excel at anything in particular, he is still consistent enough, and has plenty of potential for growth to be a first round pick. 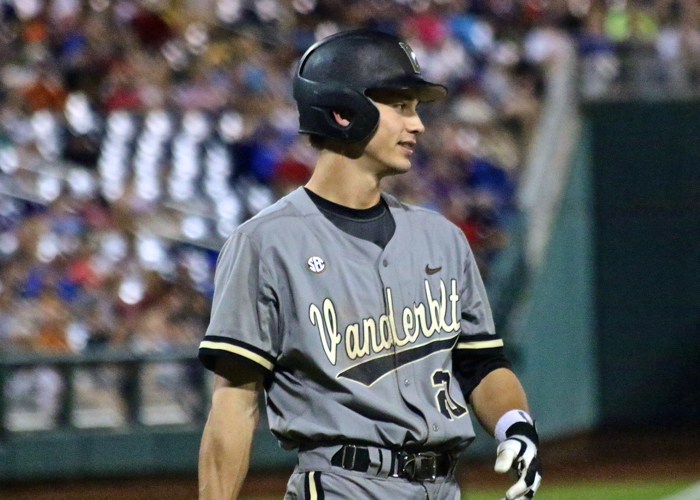 Reynolds has been an important cog in the Vanderbilt lineup, and he would stand to be a solid 5-6 hitter in the Dodger lineup in the future. 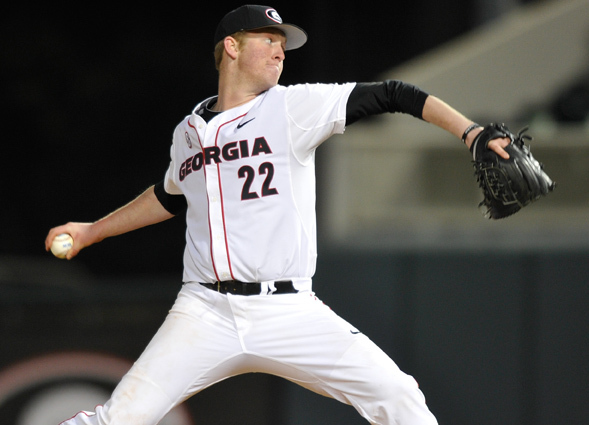 Sometimes, certain areas turn out to have good years when it comes to th MLB draft. Take Connecticut in 2011, when George Springer and Matt Barnes both were taken in the first round, and Nick Ahmed was taken a round later. How about Puerto Rico in 2012, who had three picks in the first round? Or how about 2015, when Indiana had two picks, and Canada had three? Call it luck of the draw. This year, it’s Pennsylvania and Kansas that will get the draft spotlight. 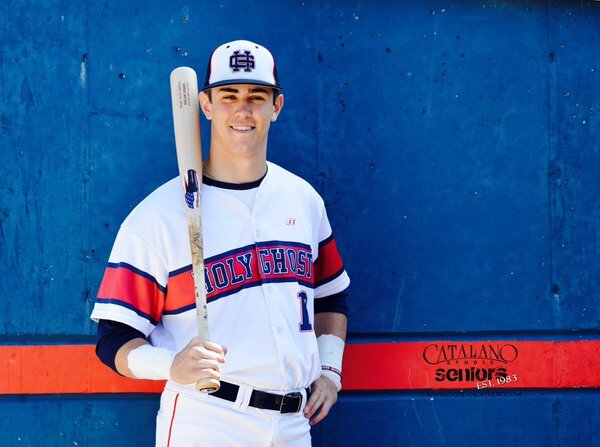 Toronto’s first foray into the Northeastern prep scene since 2011 gives them one of the better prep infielders in the draft, Nolan Jones. 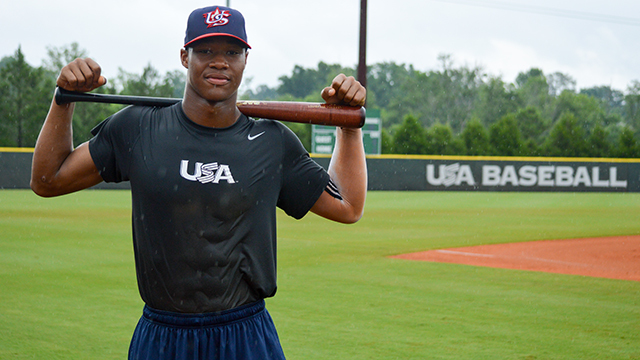 Perhaps one of the more intriguing prospects, Jones is a great hitter, and a solid defender. He could develop into a middle of the order bat, based on the potential for growth. 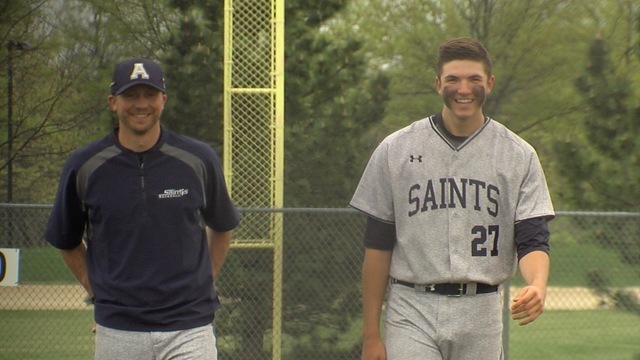 The one question mark is where he will play professionally, as conflicting reports indicate he could be a pro third baseman, second baseman, or even outfielder. Jones’ development would coincide with Troy Tulowitzki’s contract expiring, so on the off chance he does stay at shortstop, he could take over if the development is there. The Pirates stand at an interesting spot here, given the fact that they could conceivably walk away with a home state player. Drafting from home has worked for them in the past, Neil Walker was one of the more beloved Pirates players in team history. If a home state, or hometown player lands here, do they take him? While a pitcher would be nice, I could see the Pirates going after the more interesting prospect, Alex Kirilloff. 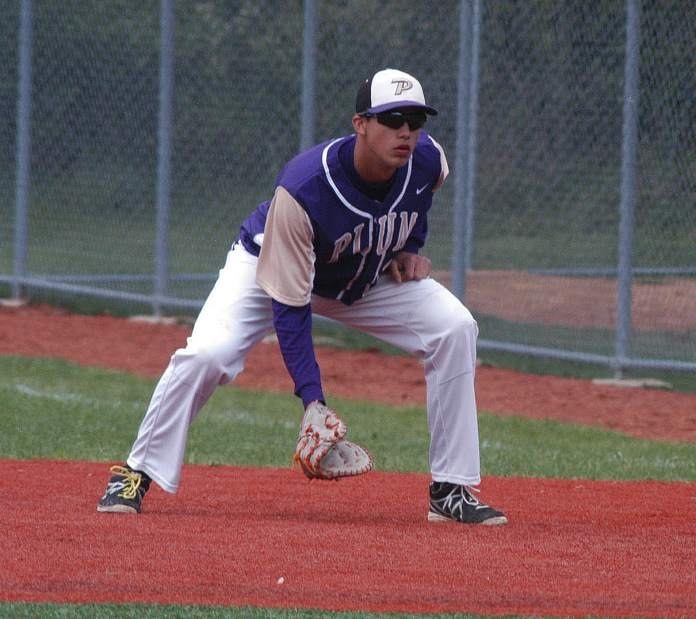 A home-schooled kid who plays at Plum HS just outside of Pittsburgh, Kirilloff is a consistent contact hitter who, with proper development can tap into power. 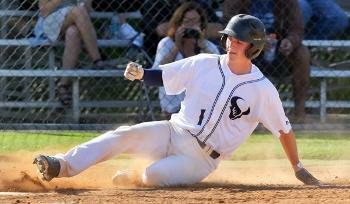 He also has a strong arm, one that will serve him well in an outfield corner. 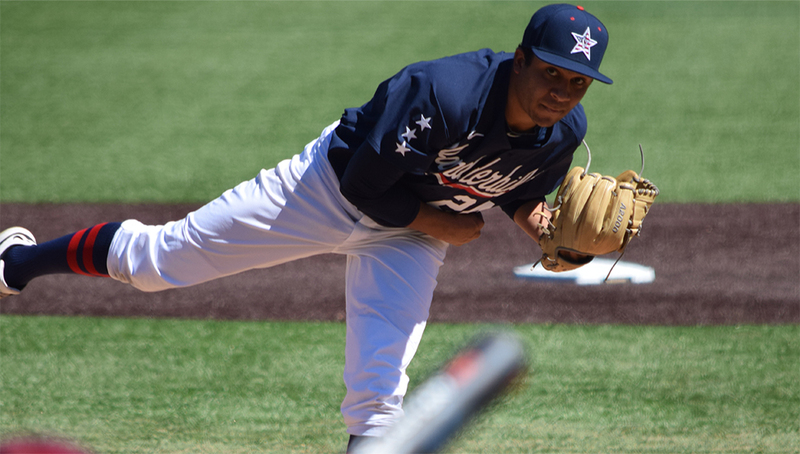 Kirilloff’s college commitment to Liberty shouldn’t be much of an issue, so the Pirates should have an easy time getting him to sign. If Kirilloff does make it this far, the Pirates should waste no time drafting him. I said earlier this year that this could be one of the better catching classes in draft history, on par with 2012, and lo and behold, we could potentially be looking at three, maybe four catchers going in the first round, including the competitive balance picks. 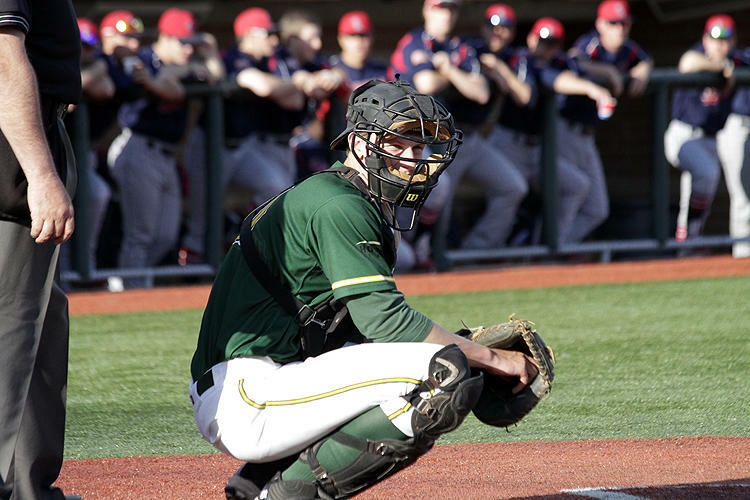 While it’s obvious that Zack Collins is the consensus number 1 catcher, the debate stands as to who’s the second best, and who could the Cardinals pick at the 23rd spot? 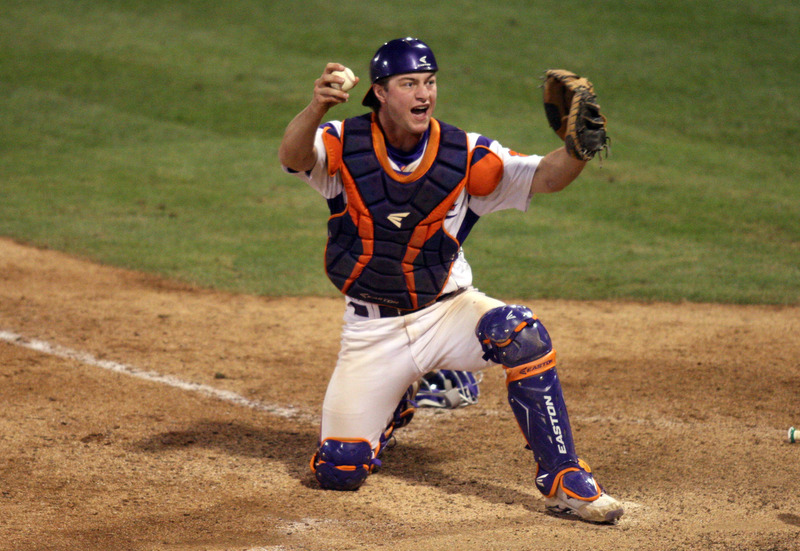 It’s a battle between ACC catchers, but Chris Okey in my opinion stands as the better one. 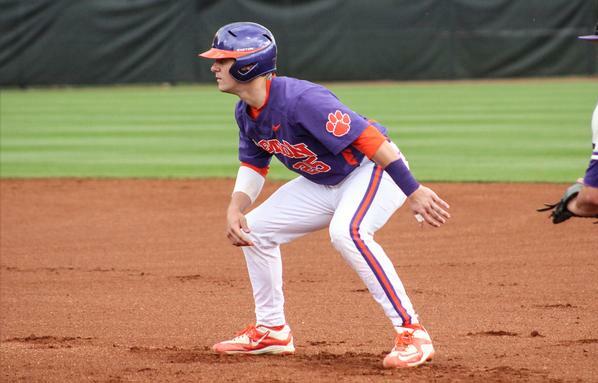 Though Okey was supposed to be the star of the Clemson team, Seth Beer’s arrival allowed him to move into a more comfortable supporting role, and in doing so, he had his best season yet. 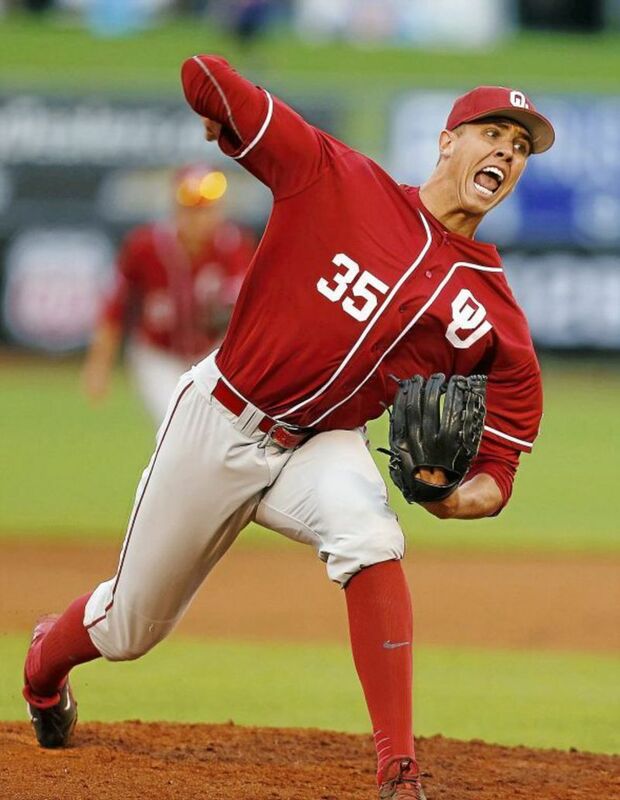 Okey is no stranger to playing with high profile talent, having caught for Team USA in 2014 and 2015, and as I have mentioned before, his almost veteran presence is certain to command respect from his pitchers. The opportunity to learn from Yadier Molina, one of the best in the game, should do a mountain of good for Okey as well. Anthony Kay was a key part of helping UConn win their first American championship, and their first conference championship since 2011. The lefty may be a bit undersized, and his fastball may be more of a low 90’s offering but should be able to compensate with a solid pitch array. Despite missing a solid chunk of the season due to injury, TJ Zeuch managed to rebound with an impressive junior year, and stands to be a first round pick. His height is ideal for a starter, although he might want to bulk up. Zeuch has four pitches that are greatly enhanced by the downward motion of his delivery. Zeuch also has the added benefit of playing in the ACC, meaning his competition level should help his stock even more. 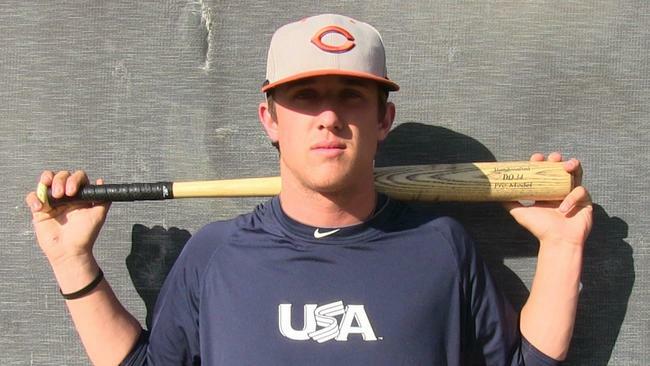 The White Sox were considering Team USA players, and getting someone like Matt Thaiss would provide the team with a nice future backstop. 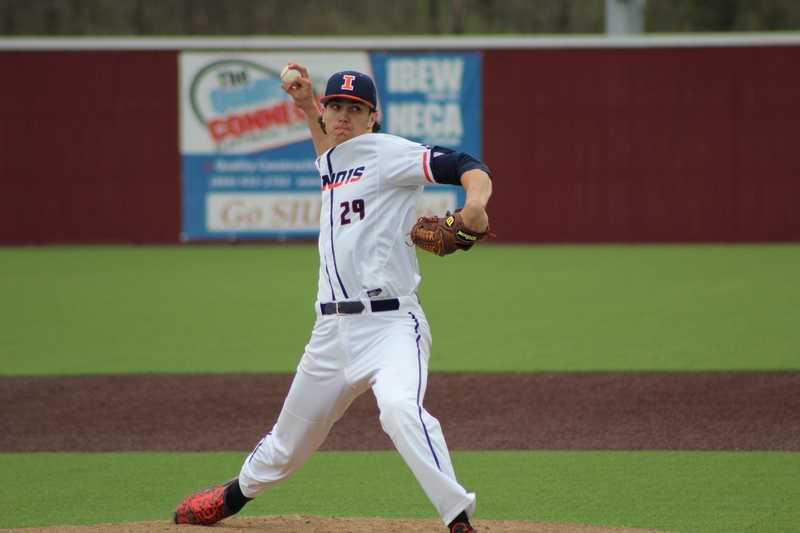 Thaiss had an impressive senior season, and having caught the UVA pitching staff for the past three years, has experience with lively arms, something he should look forward to in Chicago. 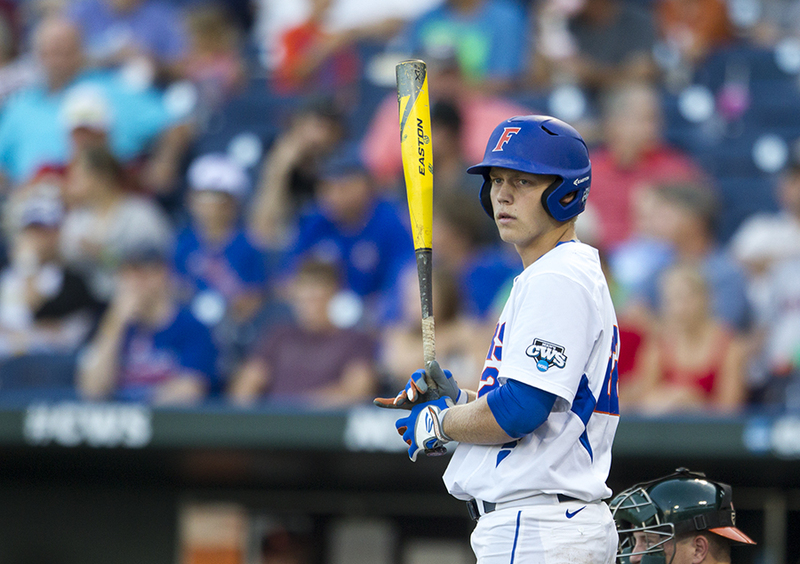 We could see an impressive prep market for shortstops, and Gavin Lux, nephew of Golden Spikes winner Augie Schmidt, could find himself making a case to go in the late first round. His time around his uncle has really developed his game, and should make him an interesting prospect to develop. If the Astros can do it, why can’t the Nationals? 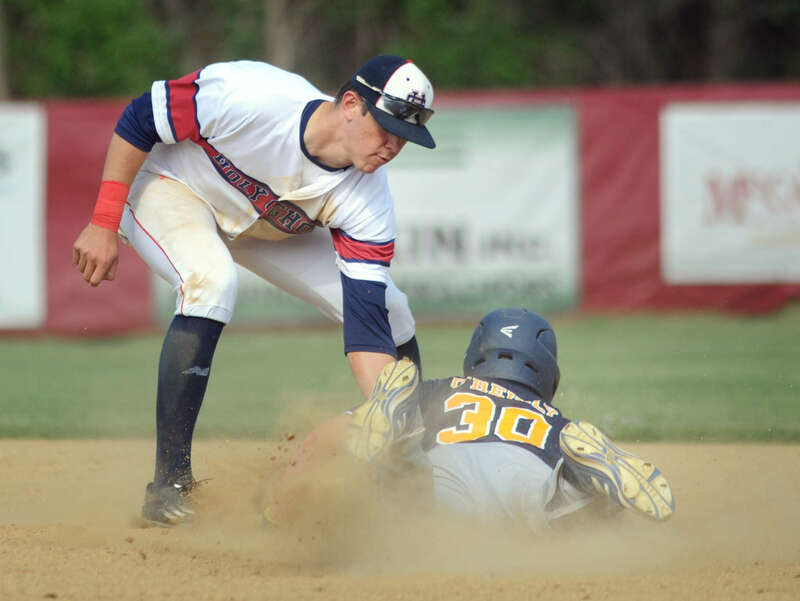 Carter Kieboom is the bother of Nats minor league catcher Spencer Kieboom. 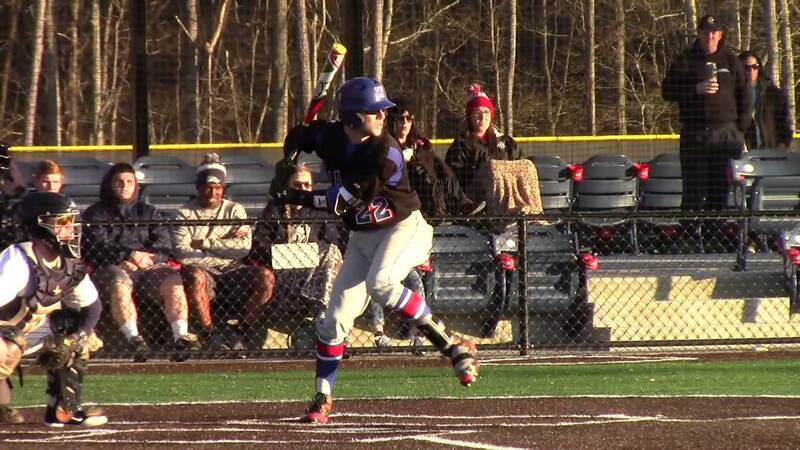 Carter is a great hitter, and could make a nice third baseman in the future. 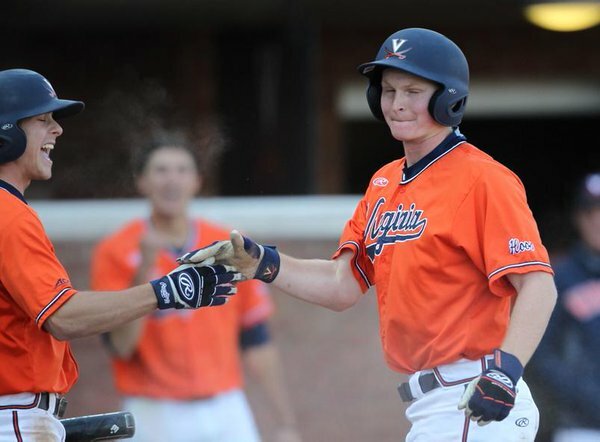 While UVA hurlers haven’t had the best professional track record, Connor Jones could break the streak, thanks in part to a solid junior season. He’d make a nice back end starter. 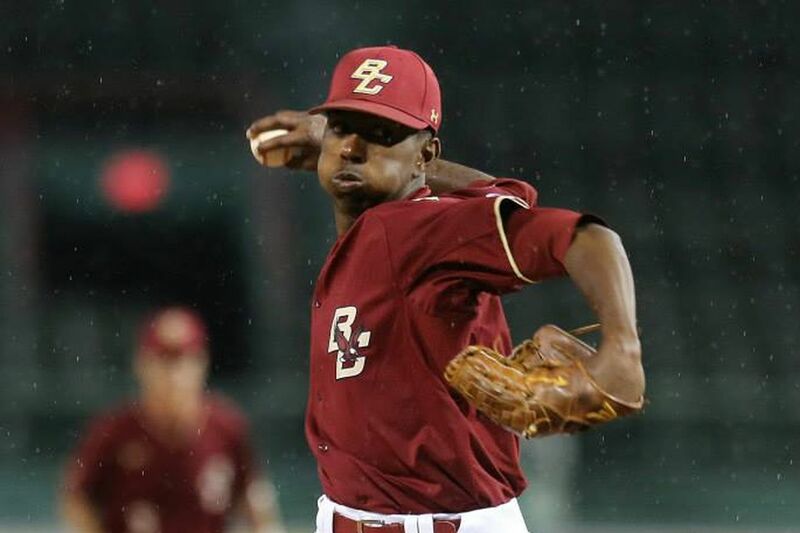 Justin Dunn has surfaced lately as a starter with a lot of helium. I’m not quite ready to put him in the first round, but if he does well enough in the regional, I’m willing to eat my words. Still, he and Dillon Tate would make an excellent starting duo for the Rangers. Riley Pint isn’t the only Kansas product who’s got a spotlight on him. Joey Wentz (no relation to Carson) had an impressive run of starts a month ago, and there was consideration he’d jump into the top 15, maybe top ten. That talk has died down a bit, but I could see Sandy Alderson making a possible run at the Virginia commit and making him an offer he can’t refuse. Though Alec Hansen had possibly one of the worst junior seasons imaginable, he did manage to slightly correct his trajectory when he was moved to the bullpen. Hansen’s problems can be fixed, and there would be no better team to fix them than the Dodgers. Anfernee Grier really saw his stock rise to the point where he should be in consideration for a first round pick. He can hit and defend, and for a team like the Cardinals, who would love to find Matt Holliday’s replacement, he makes the most sense. The Cardinals could use the money they might save from taking college players to grab a prep pitcher with signability issues. 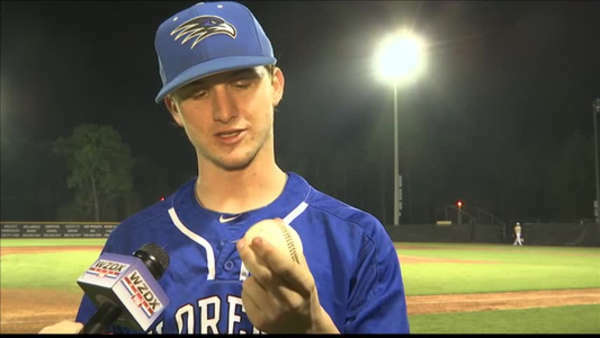 I feel certain that Forrest Whitley could be a candidate to drop. If a prep pitcher like Matt Manning falls into Cincy’s lap, and they haven’t drafted a pitcher second overall, I’m guessing this would be the spot to grab one. 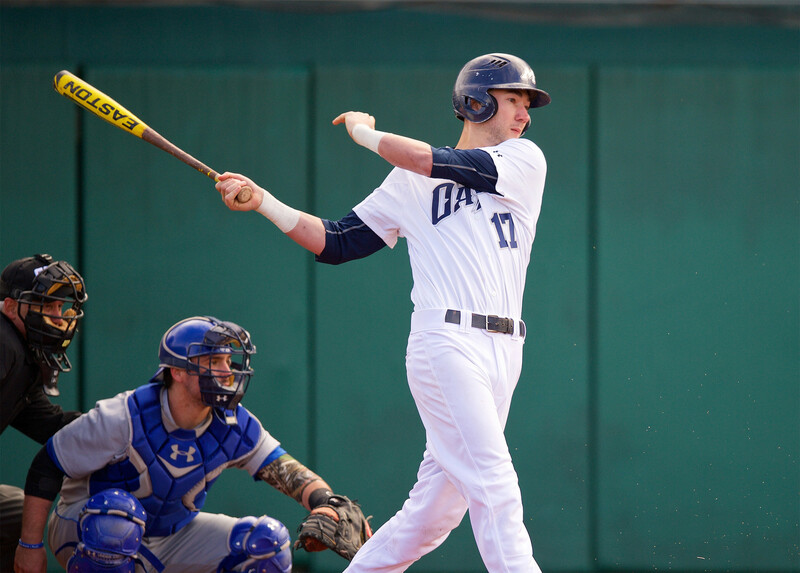 The potential for Lucas Erceg to be a Chase Utley-type contributor for the Dodgers should outweigh the fact that he transferred from California to an NAIA school Menlo College due to academic issues. 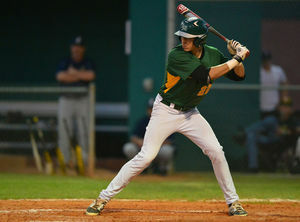 If Nick Senzel isn’t available or if the A’s end up grabbing a college pitcher at the 6th spot, they should grab 3rd baseman Drew Mendoza for his defense and doubles ability. 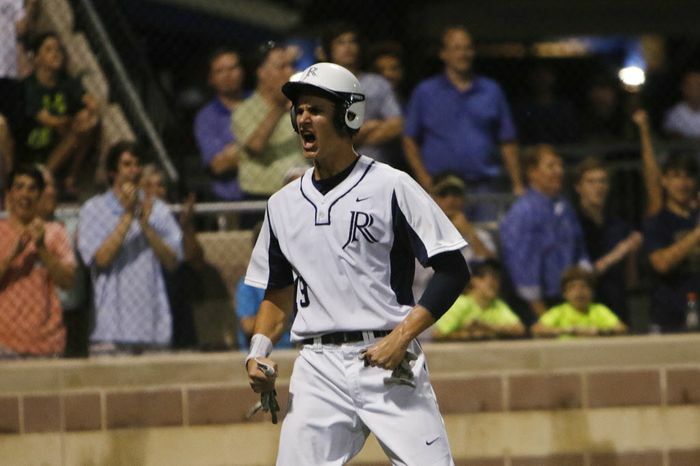 The Rockies could grab David Dahl’s friend and high school teammate, Heath Quinn right here. He has shown he can handle the transition to the pro game easily. The Diamondbacks could certainly use a toolsy outfielder like they used to have in Justin Upton, Will Benson just might fall here. The Braves have a lot of young pitching, but almost nobody to catch them. Sean Murphy may not be the best hitter, but he can call a game, and has a real cannon for an arm. 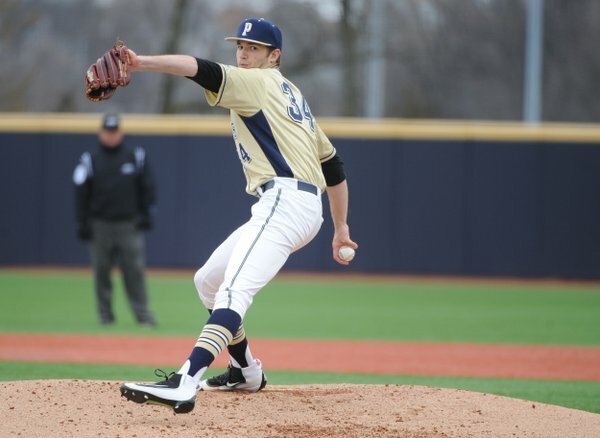 It’s not often you gamble on project players, but Kyle Muller has the size and the potential to be a mid-rotation starter, plus, he comes from the same high school as Pirates prospect Josh Bell. And with that, the mock drafts for 2016 are over. Stay tuned for the Winners and Losers of the draft, as well as a sneak peak into the 2017 draft. Thank you all for being a part of a fun year. 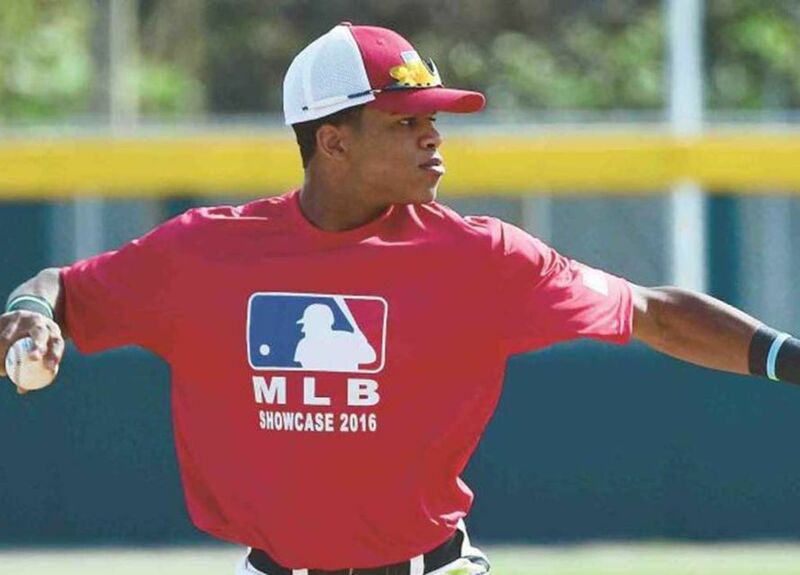 The 2016 MLB draft is almost here, and it’s looking to be one of the more interesting ones in terms of talent. With the prep season really starting to take shape, a lot of high school players are making the case to be first rounders, and as the college season gets close to winding down, those who have performed well are starting to separate from those who haven’t. This month’s mock differs from the past couple mocks because there will be competitive balance selections. There will be no explanations this time around, as personal reasons prevent me from devoting much time to this particular mock. 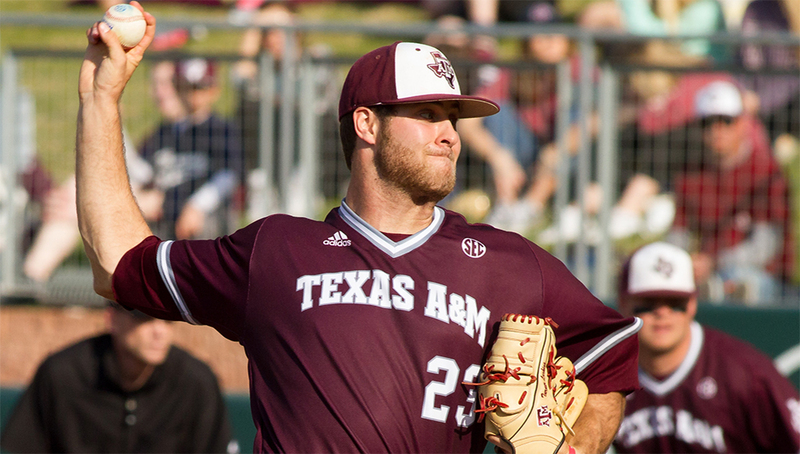 With that being said, let’s begin the penultimate edition of the 2016 MLB mock draft. Everyone is familiar with the old philosophical riddle, “If a tree falls in the woods and nobody is around, does it make a sound?” Well, in some cases, that riddle can be applied to any situation, including this developing story out of Barnegat. 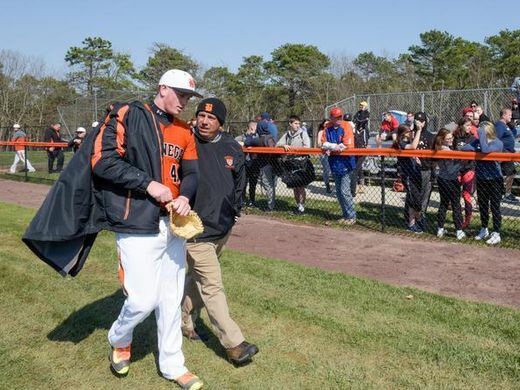 A week and a half after throwing a 19 strikeout no-hitter in his second start, Barnegat High School ace pitcher and presumptive MLB Draft #1 overall pick Jason Groome has been ruled ineligible due to a reported violation of transfer rules. 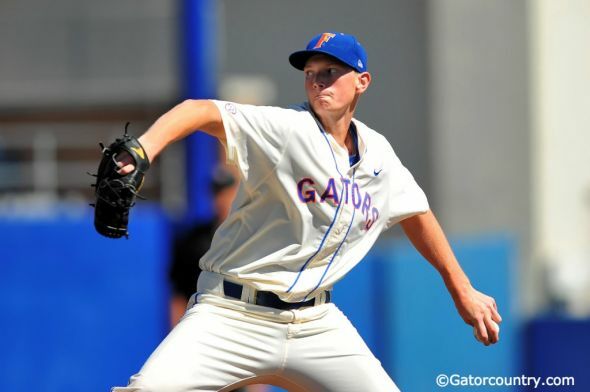 According to the New Jersey’s prep sport governing body, Groome, who initially transferred to the IMG Academy in Bradenton for his junior season, left after a year in order to be closer to friends and family. The NJSIAA rules state that a player must sit 30 days before being allowed to join an interscholastic athletic team should he transfer in. 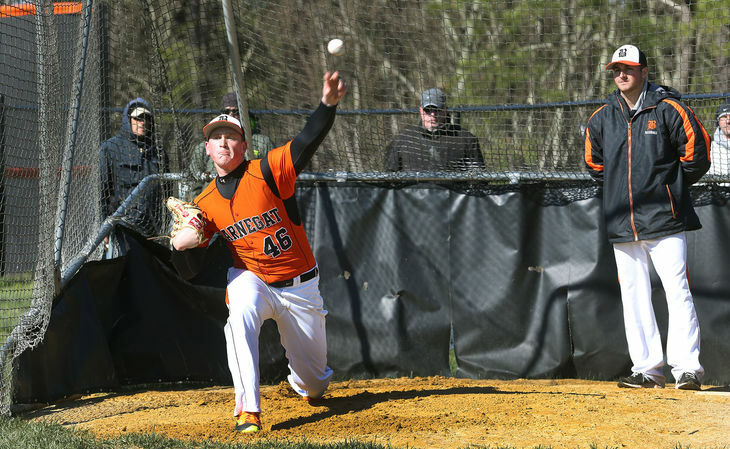 Barnegat High School did not follow the rules, allowing Groome to pitch two games before the governing body ruled him ineligible. As a result, Barnegat is forced to forfeit the two games that he played and his stats are wiped from the record books. Additionally, Groome will not be allowed to play until the end of April, effectively cancelling out most of his senior season. This whole situation is wrong on many levels, mainly in part due to lack of communication between the NJSIAA and Barnegat High School. The fact that Groome has to be punished for this shows how awful these transfer rules are. Insight from my friends at Reddit explain that the rules were put in place in order to prevent programs from developing powerhouse teams in certain sports, wrestling in particular. The rules in fact were put in place specifically in order to prevent transfers for athletic advantage. First of all, having had the chance to read the NJSIAA’s full policy on student transfers, it’s clear that what Groome did was clearly not to give Barnegat an advantage, but rather because of personal reasons. He left IMG Academy because he was homesick, not because he wanted to increase his draft stock. To be fair, this isn’t a case of the NJSIAA trying to take down a powerhouse school unfairly, however, instead of waiting this long to deliver a ruling, the governing body should have started asking questions as to why Groome left Barnegat, then came back. While I admit that I am not well versed in the NJSIAA’s procedures, I have to ask, why didn’t they act more diligently? In the wake of such a high profile transfer, why didn’t they send a memo to the Barnegat athletics department clearly stating the transfer rules? 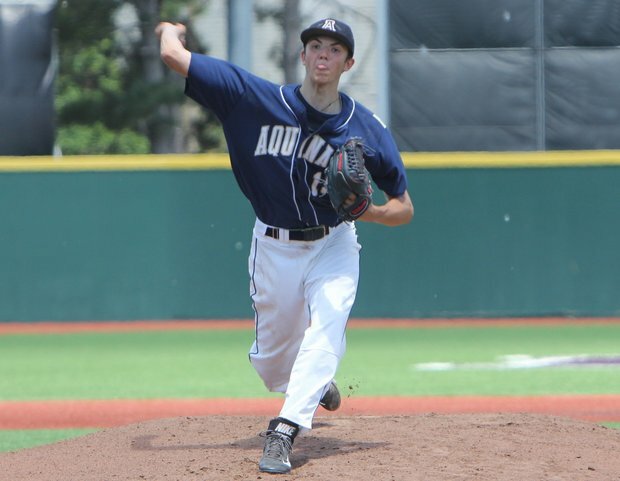 Groome was a projected first round pick, granted he wasn’t the projected first overall pick at the time of his transfer, but still, he had enough visibility in order for the NJSIAA to at least take notice. Why did they sit on their hands and wait until Groome made at least two starts before swooping in and saying that rules had been broken? Furthermore, what is the deal with striking Groome’s senior stats from the record books, and forfeiting Barnegat’s wins? Exactly what is this accomplishing? 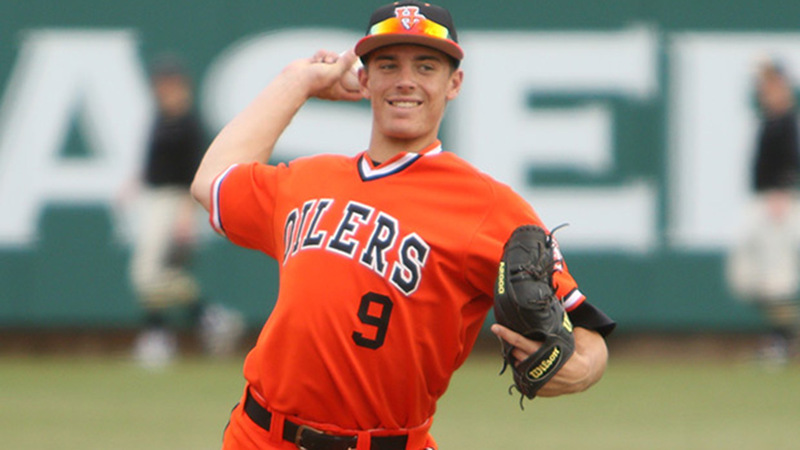 Fans and scouts saw Groome pitch a no-hitter, and wiping his stat line is going to do nothing to change the perception of who he is as a prospect. The same could be said for any athlete or coach whose stats were retroactively wiped. Even if the governing body has the records erased, it doesn’t mean that it can change the past. Look at Reggie Bush back in 2005, for instance. He had an outstanding season at USC and won the Heisman. Years later, the NCAA retroactively canceled out his stats and whitewashed his Heisman because it was ruled that he was ineligible for receiving improper benefits. It doesn’t matter, every college football fan in the country saw what he did. The benefits that Bush received did not impact his athletic performance in any way, Similarly with Joe Paterno during the Penn State scandal, because the NCAA felt that they needed to play the role of moral guardians instead of letting the police do their jobs, Paterno’s records were wiped, his statue was removed, and he left Penn State and died in disgrace because he was a victim of circumstance. Still, ask any Penn State during their time in NCAA purgatory how many games Paterno won, and they would most likely say 409, instead of the NCAA-mandated 298. The point here is that you can’t dictate what happened in the past, and the NJSIAA is clearly trying to save face by retroactively wiping out Groome’s stats. A. look to join a superior team: Going from IMG Academy, one of the best prep athletics programs in the country back to Barnegat, which is a public school in New Jersey, should not raise any red flags about level of competition unless the NJSIAA believed that Groome wanted to pad his stats. B. Seek relief due to a conflict with the philosophy or action of an administrator, teacher or coach relating to sports: Groome doesn’t seem to be the type of kid to have philosophical differences with coaches or teachers, and unless there was an incident at IMG which further prompted him to leave outside of his desire to return home, I highly doubt that he had issues with the coaches or teachers at IMG. C. Seek a team consistent with the student’s athletic abilities: If Groome had wanted to play for a team that was more on his level, he would have stayed at IMG Academy. 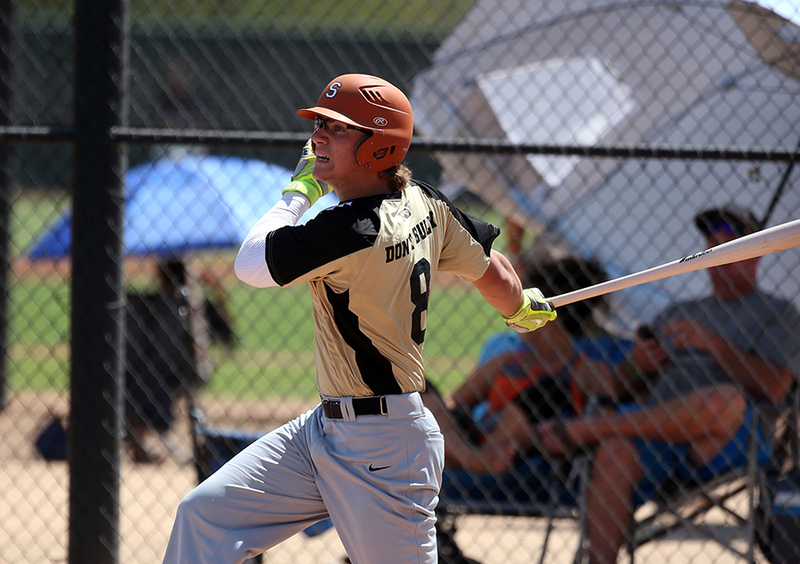 New Jersey may be one of the best Northeastern states for baseball, but the talent level is nowhere near that of Florida, Georgia, Texas, or California, widely considered to be powerhouses on the prep circuit. D. Seek a means to nullify punitive action by the previous school. Again, unless there was an incident at IMG Academy, it’s highly doubtful that Groome left in order to escape discipline. So as you can see, the NJSIAA clearly was operating on black and white logic instead of delving deeper into Groome’s decision to transfer back. Had they addressed the issue more promptly, this whole mess could have been avoided entirely. To be fair though, Barnegat High School does deserve some blame. As a member of the NJSIAA, they should have at least pretended to know the policies behind student transfers. Furthermore, they had two options, they could have just let Groome sit, or they could have explained the situation behind Groome’s transfer to the governing body. Instead, they disregarded a simple set of rules and now they are without their ace for the rest of April. The point is, however, that a young man will lose most of his senior season, an opportunity to further improve his draft stock, and also the chance pitch for a charity event in Red Bank, and all of this is because the governing body and the school both made stupid decisions. Whether or not this does affect his draft stock, if I were Groome, I would rightfully be upset with the decision. 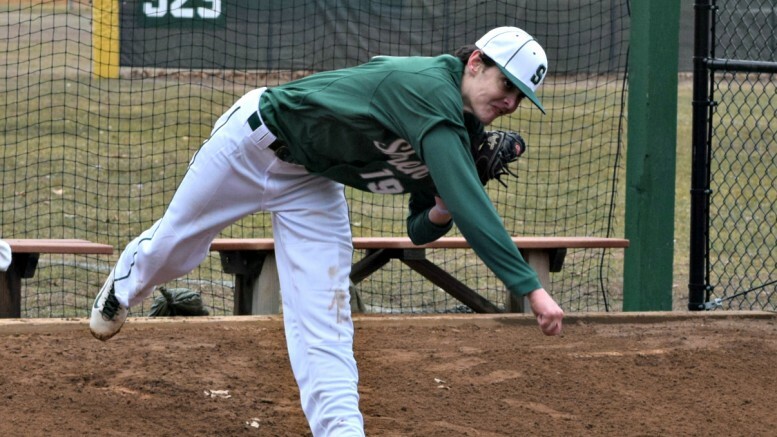 So to conclude, if Jason Groome throws a 19-pitch no-hitter and the NJSIAA cancels it out because he’s retroactively ruled ineligible, did he still throw the no-hitter? I think we all know the answer to that question. With the college season heating up, the prep season beginning, and, of course, Major League Baseball officially underway, I think it’s safe to say that mock drafts might start to pick up right about now. Baseball America has already churned out their first mock of the season, for instance. It won’t be long before Keith Law, Jonathan Mayo, and Jim Callis, among others, churn out their mocks. So to continue to stay ahead of the game, here is MinorLeagueMadhouse’s April Edition of the 2016 Mock Draft. Same rules apply, picks are judged by organizational strength or best player available. So I may have been a bit overeager to change my mock a bit last time. 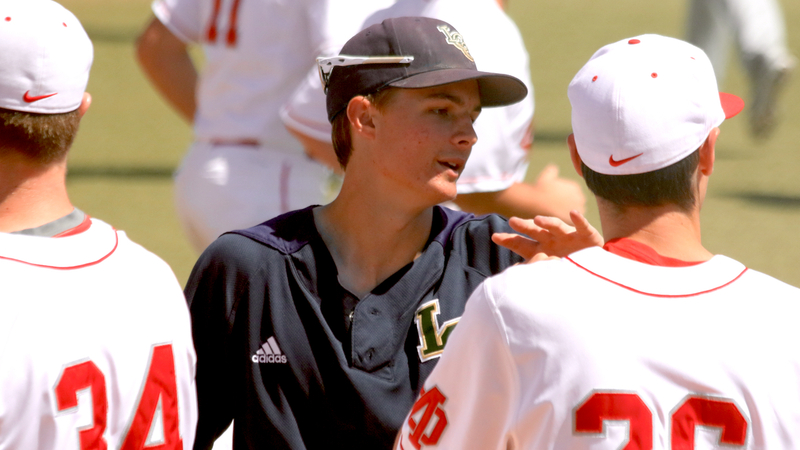 Lately, it’s been a three horse race for the number 1 pick in the draft, between a prep lefty, a college lefty, and, according to BA, a college infielder. Of course, since the prep season only began last week, the best way to judge who was the top prospect was based on reputation and workouts vs. actual stats. Until Tuesday. Jason Groome had an interesting debut, to put it conservatively. 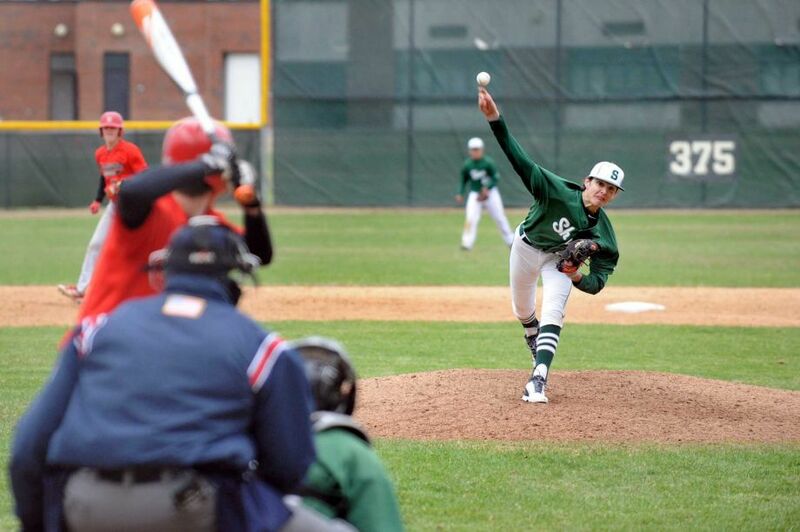 Against Point Pleasant Borough HS, he struck out ten while allowing two hits and a walk. Groome’s day was short though, as he was pulled in the 5th inning. 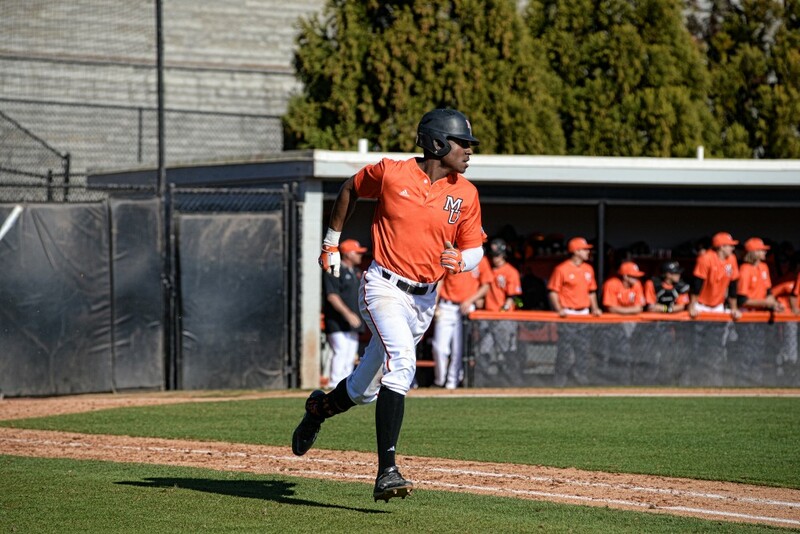 The Barnegat ace has long been in the top pick conversation and after Tuesday’s performance, it’s not hard to say that it’s been deservedly so. 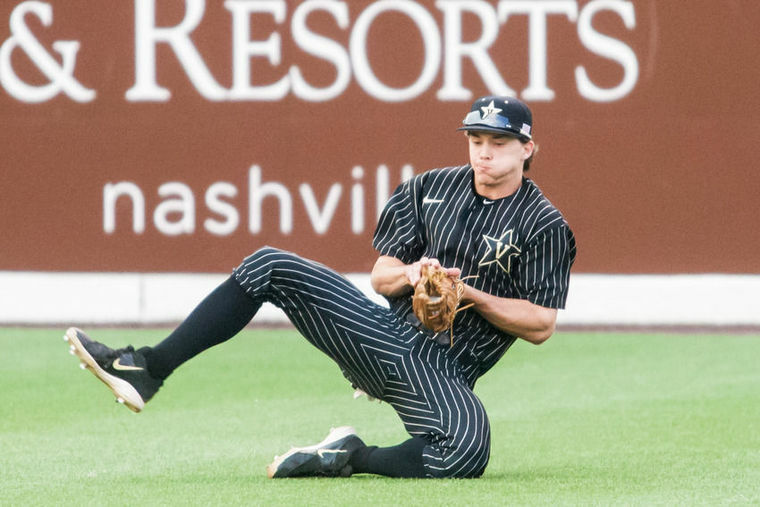 My main concerns however are the low level of competition and Groome’s Vanderbilt commitment – considering last year’s recruiting class for the Commodores, Philly might have to spend later picks wisely if they want the guy in their own backyard. 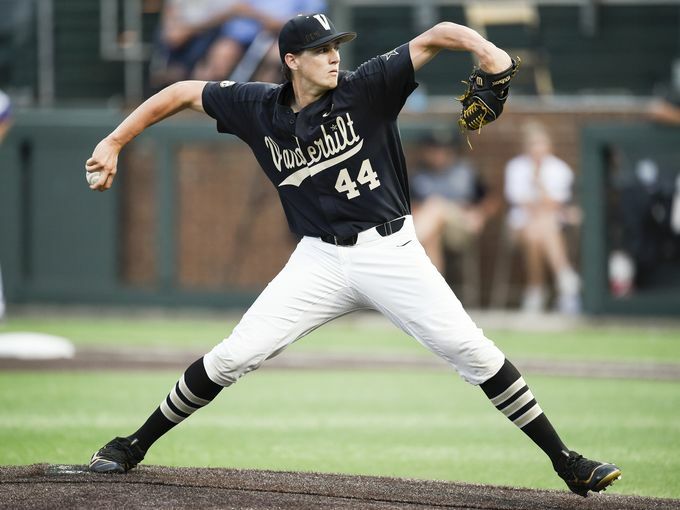 Yahoo Sports’ Jeff Passan recently released his new book, titled The Arm, which took a look at one of the more highly valued commodities in the MLB draft, a prep arm. In it, he talked about how prep pitchers run the risk of being overworked for the sake of showcases, particularly those done by Perfect Game. 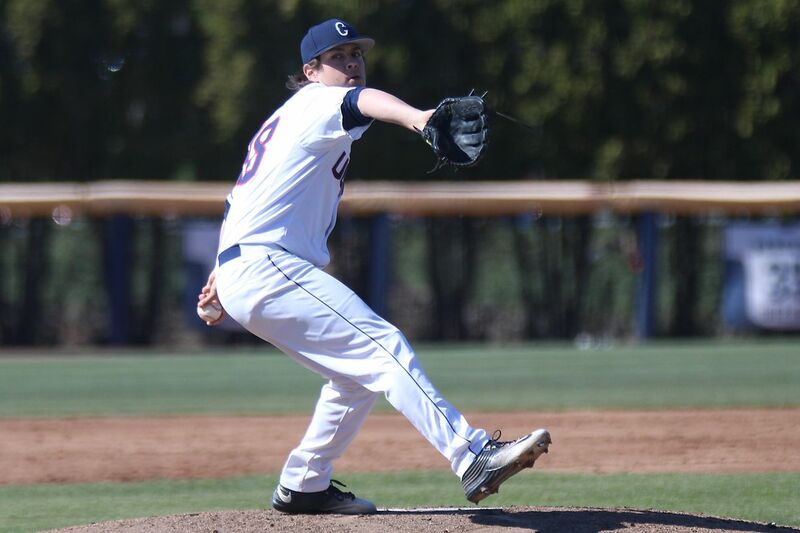 One of Passan’s case studies is a top prospect in the draft. I did read the excerpt that was published in SI, and found the information on Riley Pint, particularly his composure off the field to be of particular interest. We know that Pint has the potential to reach triple digits with his fastball, and his secondary offerings are definitely not developmental. 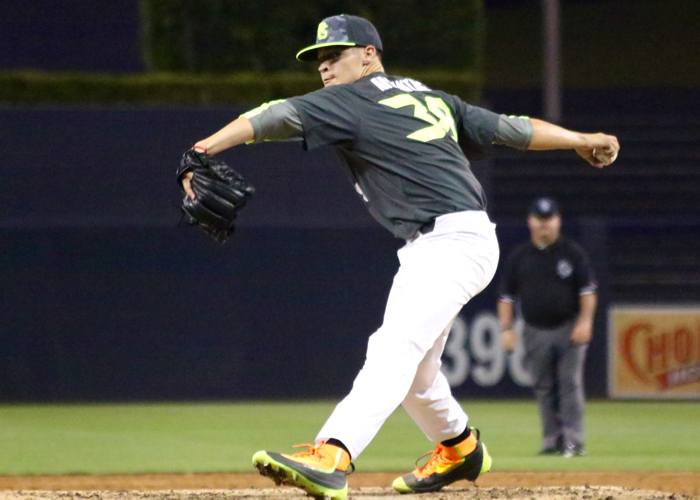 Pint has been a smart prospect in the fact that he hasn’t overworked his arm in showcases, mainly because of his refusal to participate in Perfect Game’s events, which is practically a requirement in order to get visibility. 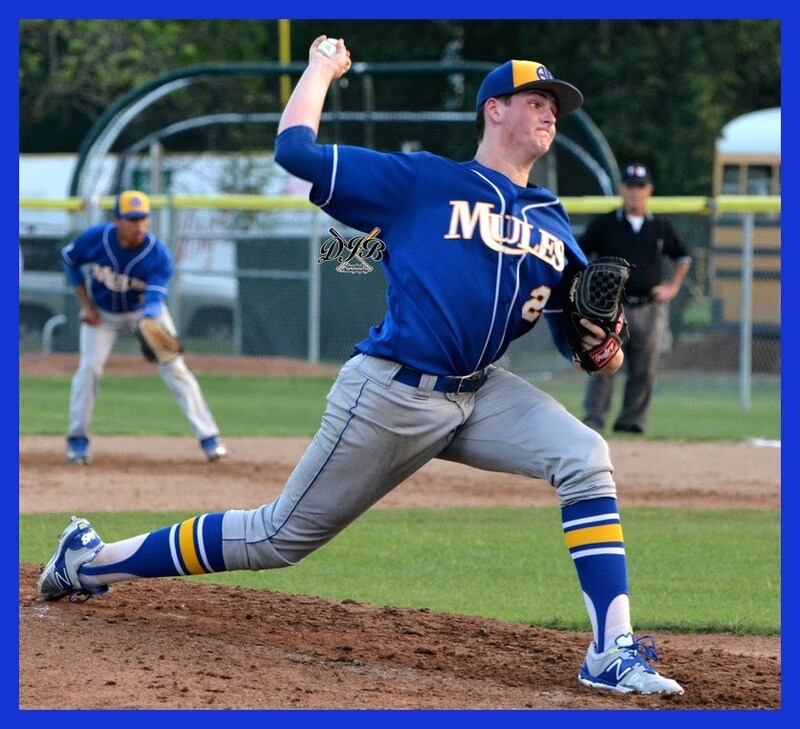 Pint’s stuff, and his character will serve him well as he goes through the season, and despite the fact that he doesn’t play in a baseball hotbed, expect him to garner serious consideration to be the first ever right-handed prep pitcher to be taken first overall. As bad as the Braves will be this season, they are perhaps in a better place than they were back in 2014. With rebuild mode in full effect, the Braves have managed to obtain solid future pieces that should contribute anywhere between mid 2016 to 2019, with a chance to add more. Of course, with the draft, even more prospects will be coming in, and with the third overall pick, the Braves have myriad options. 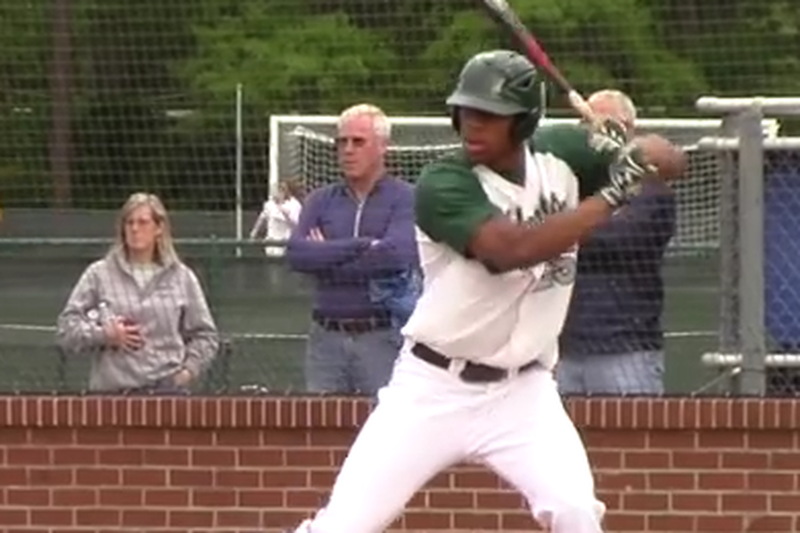 Though they could go with a home state product, I think they would rather jump at arguably the best all-around position player in the draft, Corey Ray. 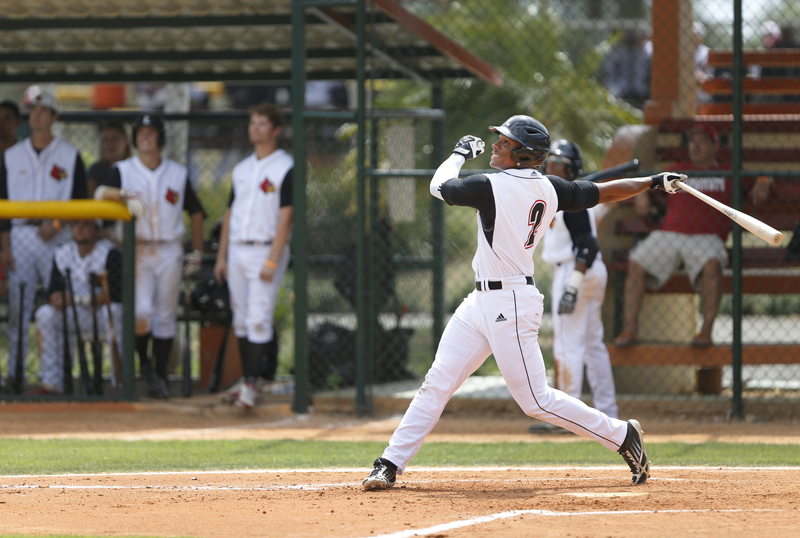 Ray has had an excellent season for Louisville, leading the team in home runs and RBI. 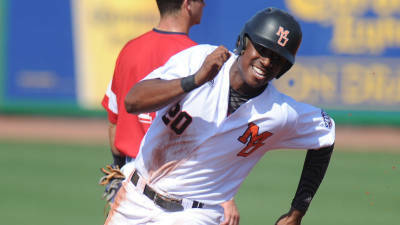 Ray, in my opinion, does look like a future Jason Heyward. I could see him, Dansby Swanson, and Freddie Freeman making up a solid middle of the order for Atlanta when they move to SunTrust Park. Whether or not this ends up being the year that Colorado’s long-term rebuild finally comes to a head rests in their future rotation members. Sure, Trevor Story has shown that he’s more than just a bridge to Brendan Rodgers, in fact, that may have to be addressed down the line, but in all honesty, Colorado has always been a great hitting team. Pitching on the other hand has been the team’s Achilles heel, which has led to the team drafting hurlers in the hope of finding some that stick. AJ Puk is probably the most pro-ready pitcher in this year’s class. The lanky lefty has had, for the most part, a decent season, and of course, nothing can take away from his fastball, considered one of the best in the draft. However, he hasn’t been as dominant as he was last season, and in his last start, he only lasted 11 pitches before leaving due to back spasms. Puk’s injury is not considered to be serious, but he should still be watched carefully, while he is still the top college pitcher as of now, there is a chance that others can pass him. Still, Puk would make a nice addition to Colorado’s stable of future arms. The Brewers are a team that we know will be having a bad season, mainly because they do have a glut of replacement level players along with stars that we are almost certain will be traded for talent. With that being said, Milwaukee stands to be in a good spot with the 5th overall pick, as they could pick anyone at this spot and it would still improve their farm system. Every year, Baseball America has a darling player that they tend to hype up before the draft, and this year is no exception, as Nick Senzel has been amazingly high on their draft boards lately. 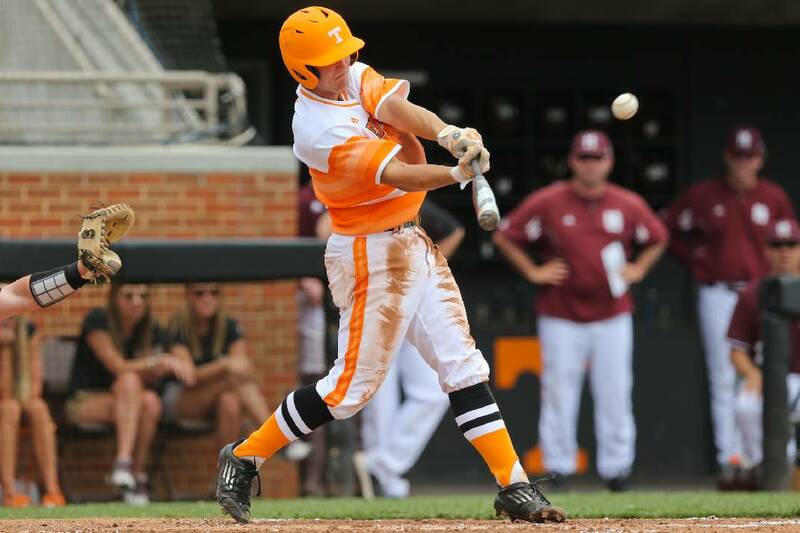 Blessed with solid contact and power, as well as positional versatility, Senzel has a .387 batting average with 4 home runs and 40 RBI as of now. The Volunteers slugger would be a great future replacement at third base for Aaron Hill, or at second base for Scooter Gennett. It seems like a lifetime ago when the A’s had one of the most offensively powerful teams in the league, but of course, that time has come to pass, and yet another fire sale leaves the A’s with some pieces but a lot of questions. Considering Oakland is in possibly the most competitive division, it seems the best course of action would be for the A’s to start building again, and there is probably no better draft than right now to find a future star. 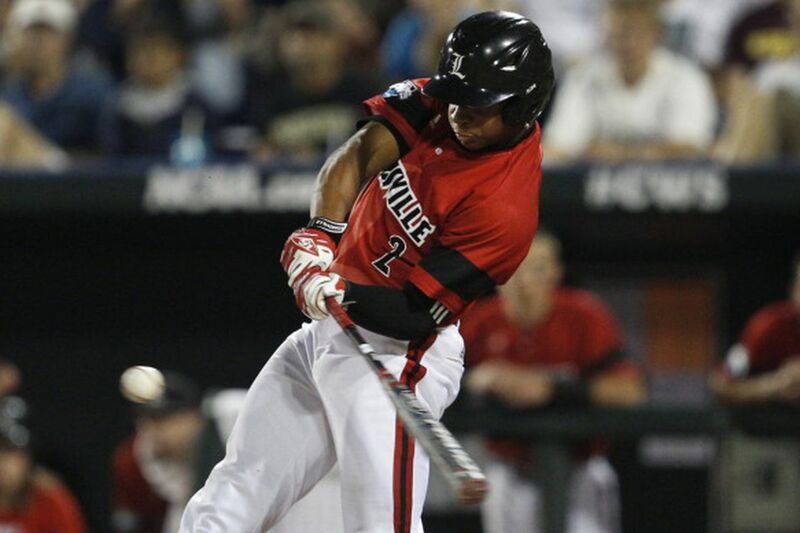 Kyle Lewis has been one of the more controversial draft prospects, considering the fact that he plays in a weak conference that may have inflated his stats, but there’s no denying that Lewis’ potential as a power hitter is there. Tied for third in home runs, Lewis would definitely benefit from playing in the Coliseum. If he can keep playing at the level he has for the past few weeks, he will definitely cement his status as a top 10 pick in the draft. 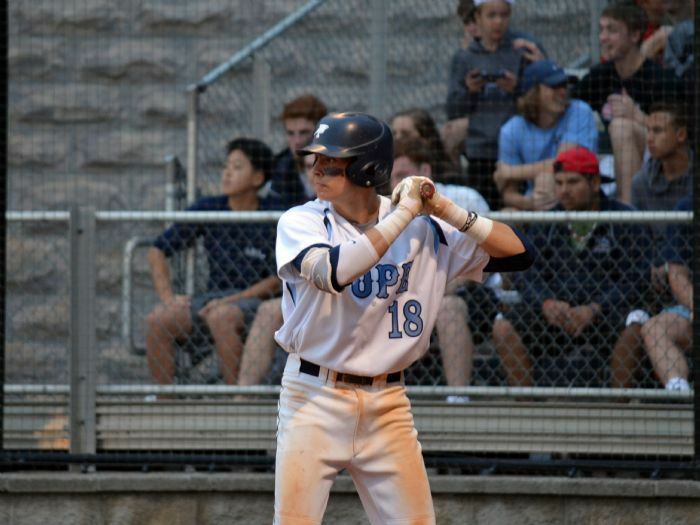 As the prep season starts and goes on, more and more candidates for the HAPS, or Highly Anticipated Prep Shortstop designation make their case. What started as Delvin Perez on his own has gradually grown into a triad, and each HAPS candidate has shown a different set of skills. While I have largely ignored Nolan Jones of Holy Ghost Prep, his name has really started to pop up in internet forums as a potential dark horse top 10 pick, and justifiably so. Jones, according to some people, bulked up over the offseason, and should be adding more power to his swing. Jones has no definite weaknesses as of now, however, like many HAPS, he could find himself switching to a different position professionally, like third or second base. Jones’ offensive potential as of now has been compared to super utility man Ben Zobrist, but if the rumors of him adding more muscle are true, he could present more of a Daniel Murphy-like profile. 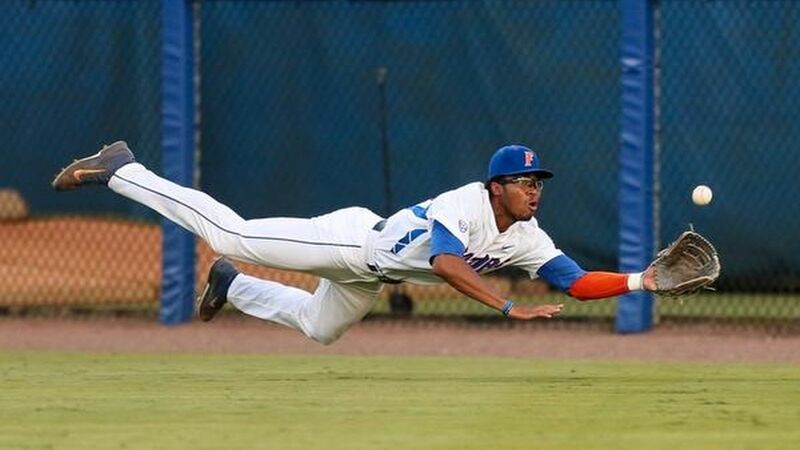 Jones’ potential for growth should be something the Marlins could monitor, and because he’s a prep product, he’ll have plenty of time to figure out where he’ll end up position wise. 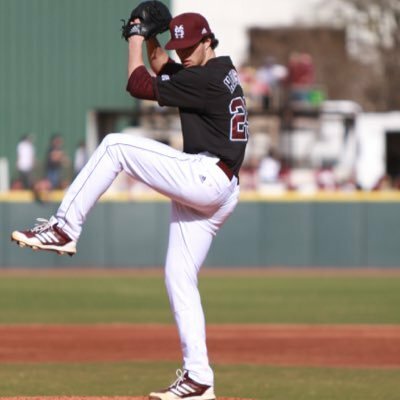 Anyone who has had the chance to watch some SEC baseball this year, regardless of the teams that are playing, can say that this year’s class of draft-eligible players has to be arguably the best in recent memory, from the already established players to the ones whose stock has risen the past few weeks. Last year at around this time, Andrew Benintendi was the darling of both the SEC and the MLB draft, going from a potential unknown to a top 10 pick. 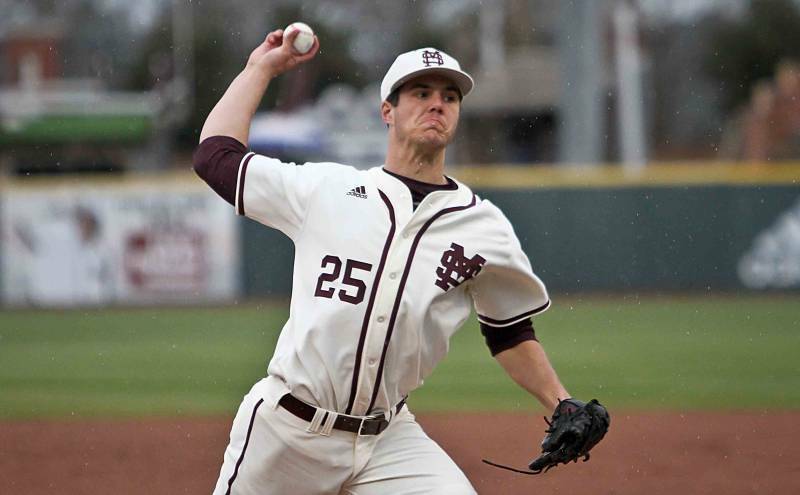 This year, it could be a pitcher that sees their stock rise, and there has been no better example of rising stock this year than Mississippi State’s Dakota Hudson. Surprised? Well you should be. 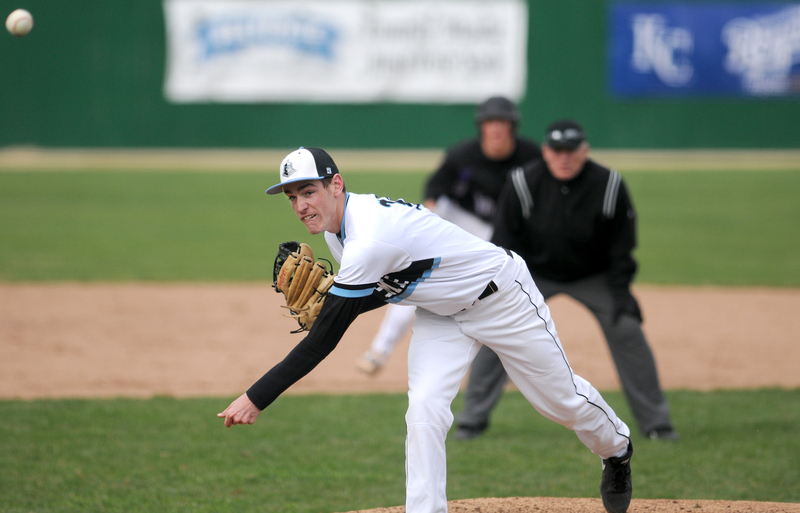 Hudson has taken this season by storm so far pitching to a 4-2 record, a 1.68 ERA, and 59 strikeouts. Hudson has one of the better fastballs in the class, and has a solid arsenal of secondary pitches, all of which range from average to plus. 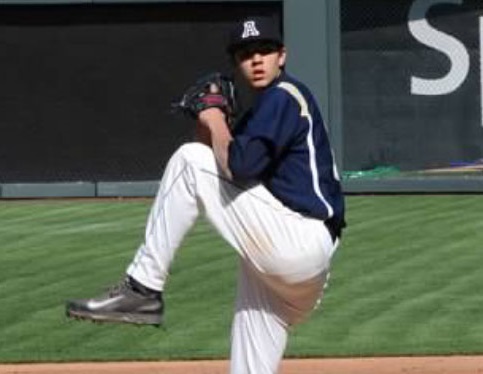 Hudson has the ideal build for a pitcher as well, standing at 6’5″ and 205 pounds. 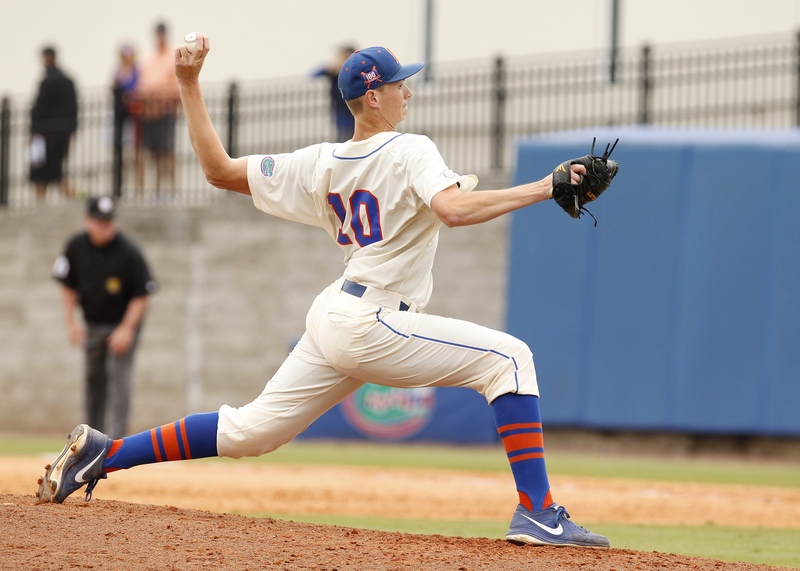 Despite a rough outing against Florida, his stock could still rise and he could make a solid case to displace AJ Puk as the top college pitcher in the draft. I have to give credit to owner Mike Ilitch and Tigers GM Al Avila on the offseason they had. A season after acknowledging that nothing was working and selling off major pieces, the Tigers reentered the AL Central race by signing two major pieces, and not having to lose their first round pick served as an added bonus. This New York Jets-like gamble could be yet another high risk-high reward proposition for the Tigers, but it still is early to tell. 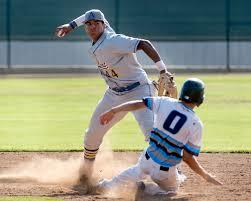 The Tigers do have a weak farm system however, due to graduation and gamble trades from previous seasons. While the possibility of getting one of the top prep outfielders seems attractive, I feel that getting an Ian Kinsler succession plan would serve them better here. Delvin Perez comes with many benefits. 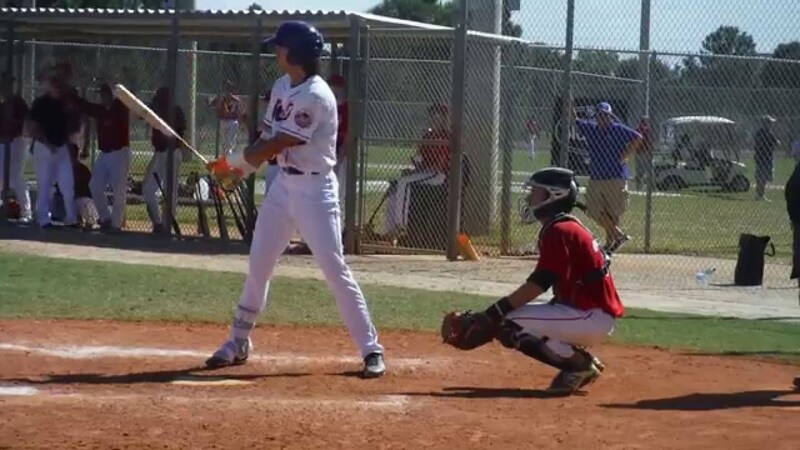 He’s one of the youngest prospects in the class, has no looming college commitment, and comes from one of the best talent factories in the US. 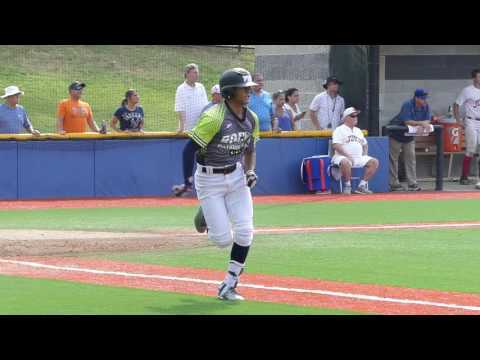 Perez is also one of the best defenders in the class, meaning that among all the HAPS candidates, he has the best chance to stay at shortstop. 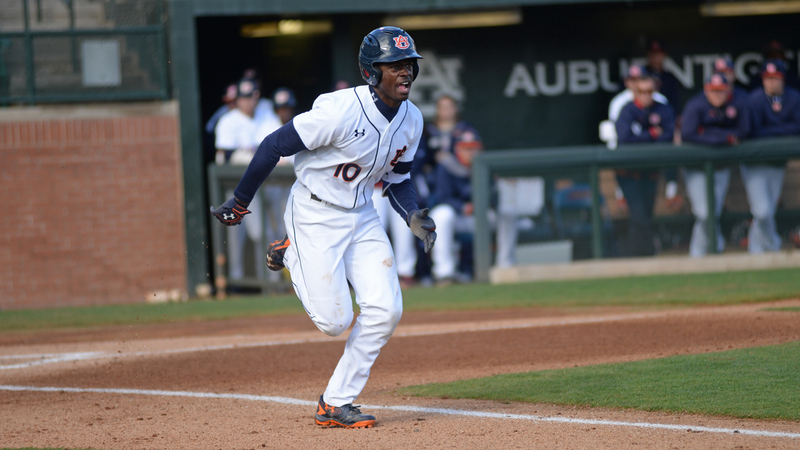 While his offense is developmental, the Tigers could take plenty of time to develop him. He and Jose Iglesias would make a Gold-Glove potential middle infield that would provide excellent support for the Tigers pitching staff. After spending 2013, 2014, and 2015 in the lower half of the farm system rankings, something clearly has to change for the White Sox. 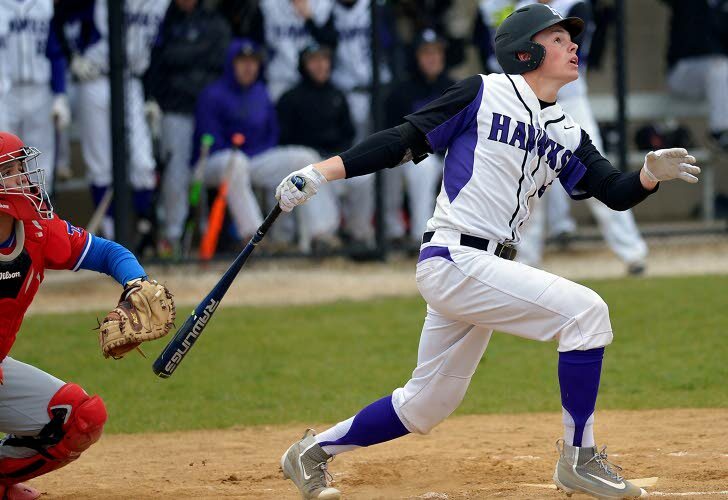 While I still believe that Rick Hahn wants to draft a collegian with the 10th pick, the chance to grab a top prep talent could prove to be too great to ignore, and since the Sox have a compensatory selection, they could use it to grab a collegiate player later. The debate regarding Blake Rutherford as of late has been whether or not he can keep his status as the consensus top hitter in the draft. 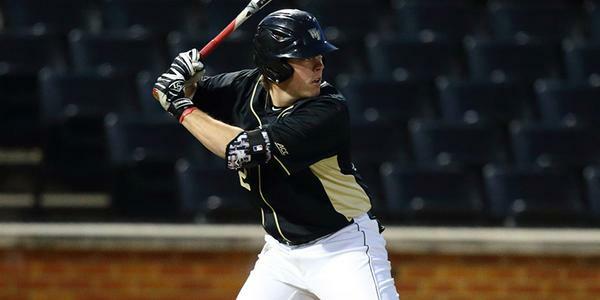 Having already been exposed to the national spotlight, some prospect sites, particularly MLBPipeline, feel that Rutherford could go through prospect fatigue, which could plummet his draft stock. Having been named to the All-Tournament team for the National High School Invitational, it seems that Rutherford may avoid that fate for now. Rutherford’s power and speed make him the ideal candidate to succeed Melky Cabrera, and his age (19) will either help or hinder his progression through the minors. You might think with the Seattle Mariners’ draft history that the team would have a lot more success with their picks. Having gone with safe bets for the past few years however has not been a solid strategy for them, and it may be time for a change. My first real surprise of the draft has the Mariners taking a guy whose stock has been steadily rising the past few weeks. 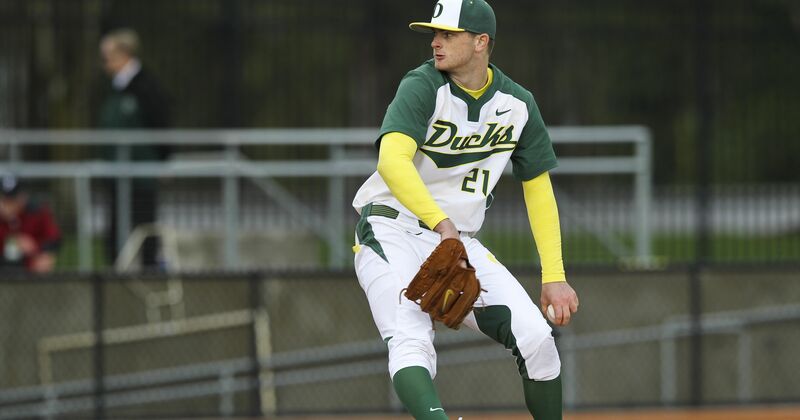 Cal hurler Daulton Jefferies has been what Oregon’s Matt Krook could not be, the top prospect in the Pac-12. Sporting a 6-0 record, a sparkling 1.29 ERA and 47 strikeouts as of this writing. Jefferies has quietly ascended from an almost Day 1 pick to a practical certainty. 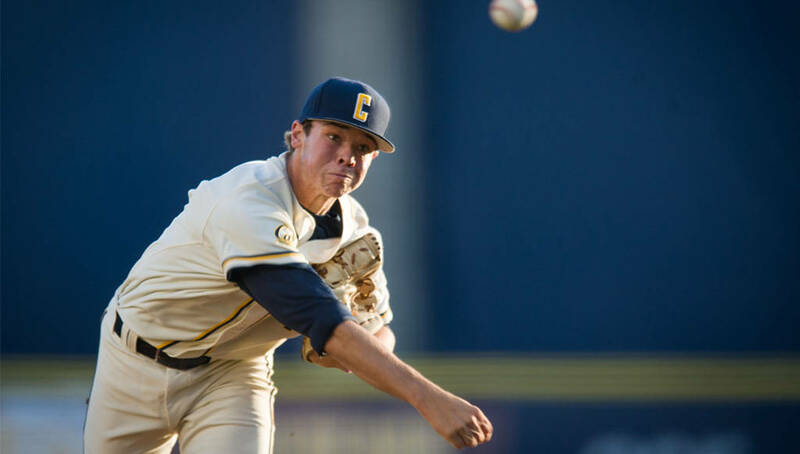 The Mariners will get an opportunity to see him pitch in their home state when Cal plays Washington State in May, so if Jefferies continues to pitch the way he has been, the Mariners should send plenty of scouts to Pullman. The thing that amazes me about the Boston Red Sox is the fact that despite their clear plan to go all-in this year, they made such great moves without sacrificing too much talent. Sure, they did give up some solid prospects for Craig Kimbrel, but still, their system is considered one of the best in baseball, mainly due in part to Yoan Moncada, Rafael Devers, and Andrew Benintendi. So if that’s the case, where do the Red Sox go from here? While Blake Rutherford may have more visibility, in my opinion, Mickey Moniak has better potential. 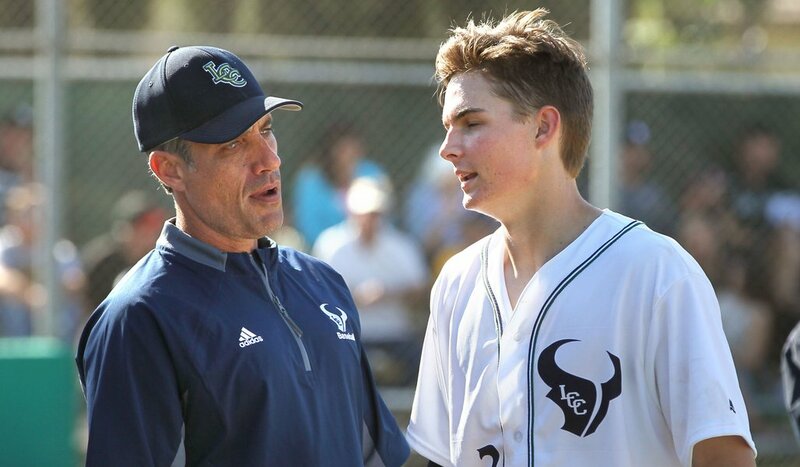 The La Costa Canyon outfielder has seen his stock rise and fall even before the season started, and yet he still could make a solid case to beat out Rutherford as the top prep outfielder. Looking at Moniak’s highlight reel, I see a very capable centerfielder with a solid swing. While it is fundamentally different than Kyle Tucker’s from last year, it still is very smooth, like Tucker’s. Moniak, in my opinion could be a very solid choice for Boston, who has already had success developing outfield talent. Having him, Betts, and Benintendi playing alongside each other would give them quite the homegrown outfield. Two-way prospects are a mixed bag. On the one hand, you have a prospect that has two major strengths, which you can figure out where they will fit better into your team’s future plans, on the other, the development time is often increased because it can take a while to determine where they fit. In fact, there really hasn’t been a solid two-way player in baseball in a while. The Rays have an advantage with Josh Lowe because they can look at him one of two ways, on the one hand, he does have projectable power, and his defense allows him to stay at third base, making him a potential successor for Evan Longoria. On the other, he’s got a solid fastball and an above average slider, with a developing changeup, allowing him to join the long line of solid pitching prospects in the Rays’ farm system. 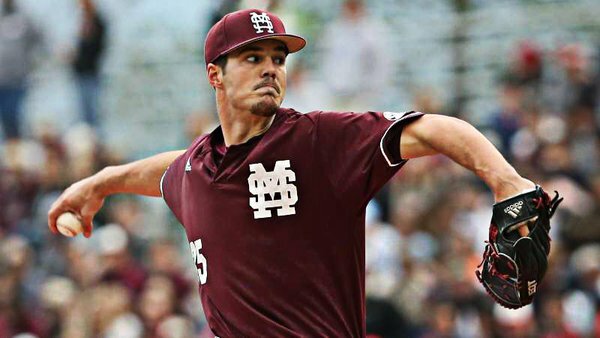 I personally feel that Lowe would stand to be a better option as a hitter based on his power potential, but it wouldn’t be out of the realm of possibility if the Rays decide to make him into yet another potential ace. 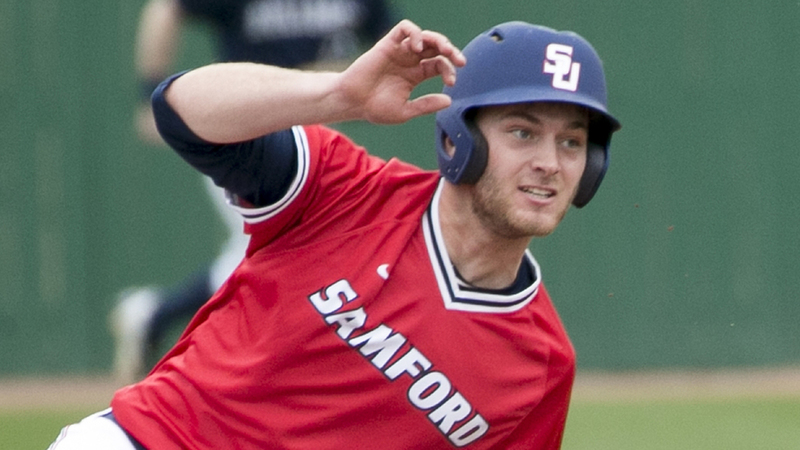 When it comes to NCAA stat leaders, in particular, batting average, the last thing you expect is for a first round prospect to be in the top 5. Yes, they’re good, but they shouldn’t be that good. Usually, those positions are occupied by players that come from smaller schools, those that will be drafted high but will likely end up as a career farmhand. 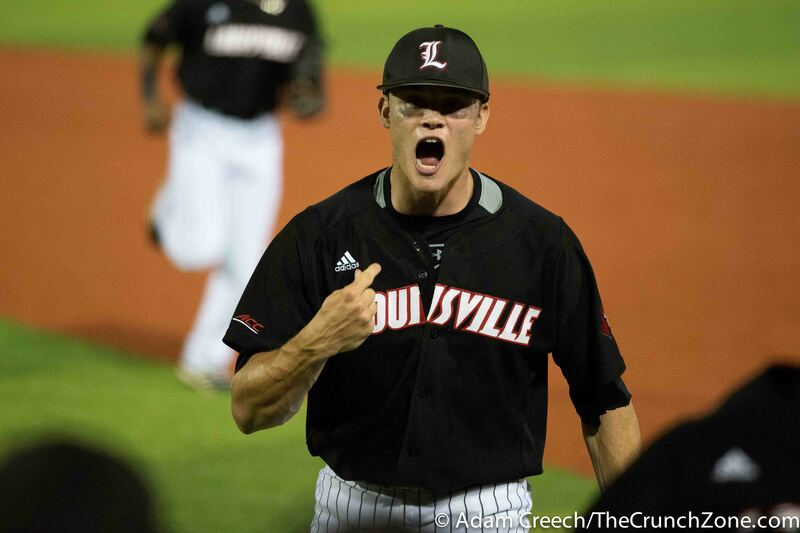 Of course, anything can happen, just look at Seth Beer and his amazing season that shouldn’t have been. Digression aside, I think that Will Craig has the chance to make a serious case to be a first round prospect. Sure, he’s missed a few games, but so far, Craig has made the ACC his personal playground, leading the league in batting average (.476) and RBI (43) while tied for second with Corey Ray in home runs (9). 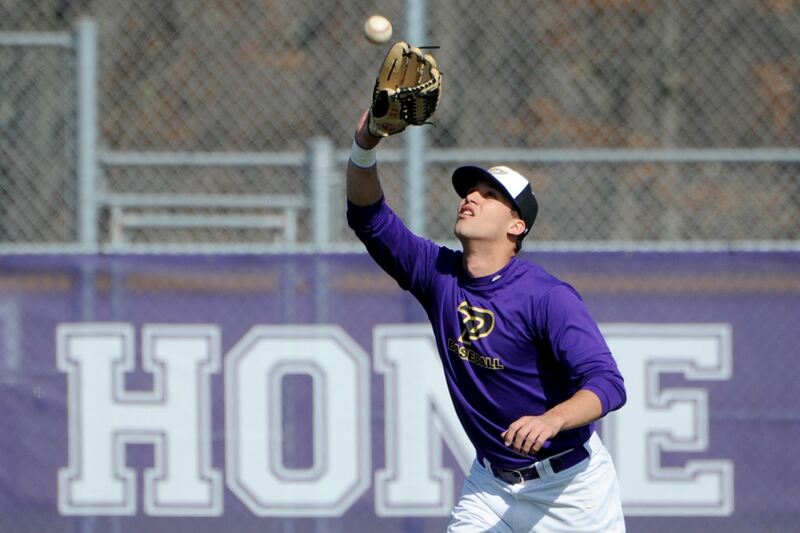 Craig will be a corner infielder in the pros, it just depends on where exactly he fits. 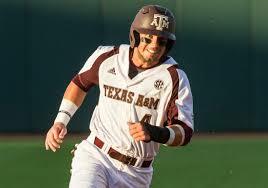 If the Indians draft him, I see him as a potential third baseman, taking over for Lonnie Chisenhall. 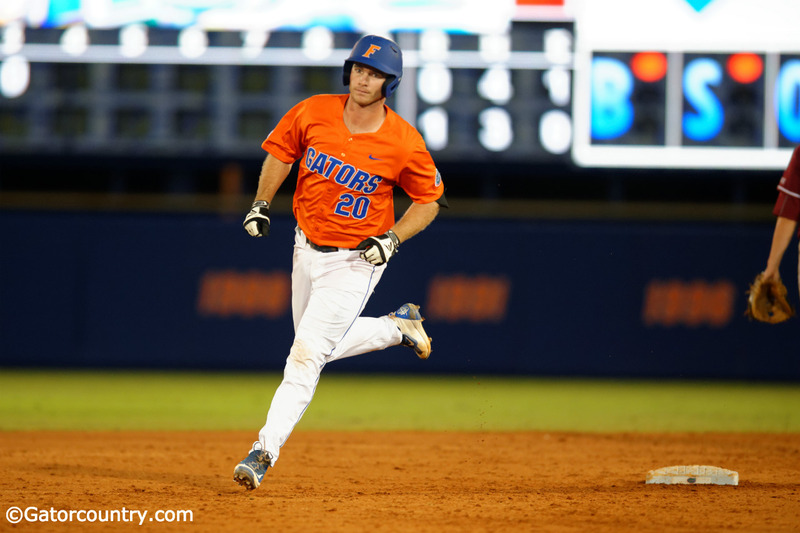 Craig has the potential to be a solid producer in the lineup, and there’s no doubt that if he can handle one of the top conferences in college baseball the pros shouldn’t be that difficult to adjust to. Though the focus last year was on the Astros and their jump from being one of the worst teams in baseball to a potential future threat, someone should really give credit to the Minnesota Twins for what they did last year, making a serious run for a wild card spot until the final week of the season. The Twins’ homegrown talent has managed to meet expectations so far, so it shouldn’t come as a surprise if they make a compelling case to win the NL Central this year. One of the more common assumptions in mock drafts is that teams will make every effort to grab home-state talent, and in some cases, it’s true, while in others, it’s not. Minnesota has benefitted from 11 years of Joe Mauer, so with the opportunity to grab Logan Shore another home-stater, presenting itself, the Twins would be doing themselves a disservice if they didn’t at least look at him. 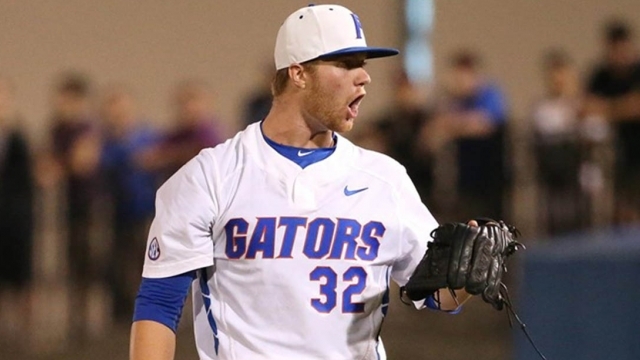 Going into the season, many assumed that AJ Puk would be the breakout starter in the Florida rotation, but it’s been the complete opposite. 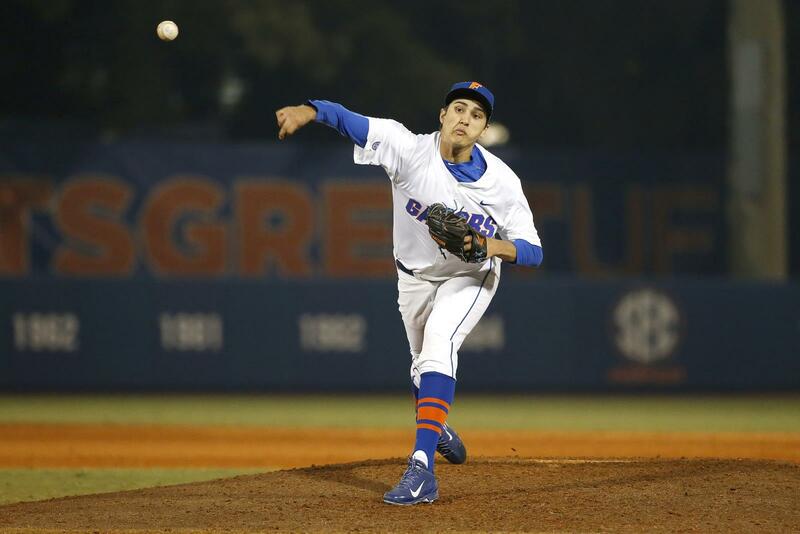 Shore has not yet lost a game, is second on the team in strikeouts, and owns the lowest ERA among the Gators’ starters. It’s clear that Shore wouldn’t be a token home state pick to appease the Minnesota faithful, he could make a serious case to be a part of what will be a dangerous future rotation. A while ago, on Reddit, a discussion popped up on which team was in the worst situation heading into the 2016 season. I argued that the Angels were the most likely candidate, given the amount of bad contracts on the team, the fact that most of the roster was starting to decline, and the atrocious state of the farm system. Now would be the perfect time for the Angels to start a rebuild and if one of the top prospects in the draft starts to take a tumble, you can bet that the Angels should pounce. While Buddy Reed has had a good season, there’s no doubt that he really hasn’t blown anyone away, and that the top 5 pick potential was clearly preseason talk. Reed is still a valuable commodity, his speed and defense make him one of the best athletes in the draft, and put on the right team, he will definitely provide a jolt in the lineup. Though Reed is a natural centerfielder, with Mike Trout already there, I could see him learning left field so that he can contribute almost immediately. While the Astros have a particularly strong farm system, one thing they could stand to improve is their future catching situation. 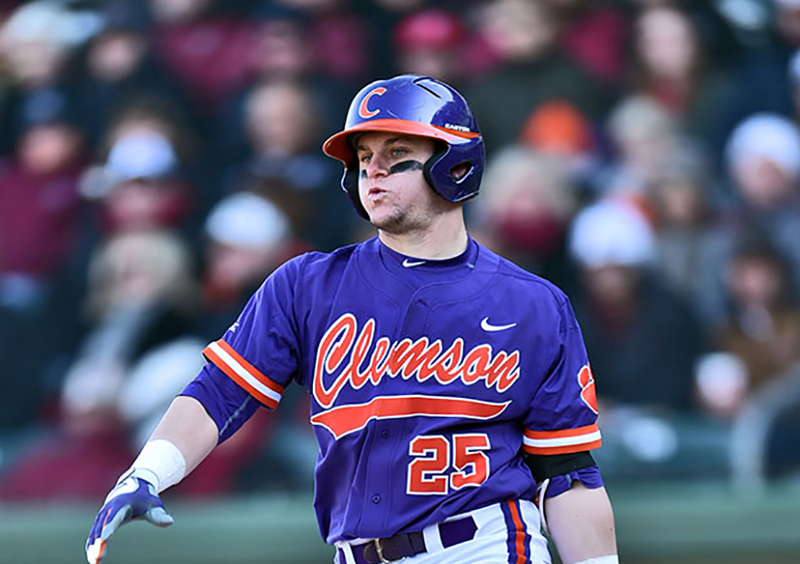 Chris Okey has been one of my favorite players in the draft, partially because he’s managed to shake off a slow start to be Clemson’s second best hitter this year. Okey may only be 21, but he’s been cited for having one of the more veteran minds behind the plate. 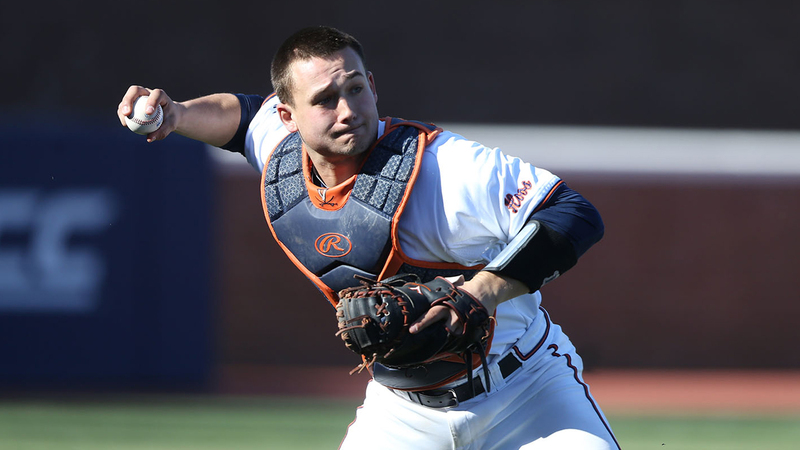 He may not be a power hitter like Zack Collins or Matt Thaiss, but as a defense first catcher with an average bat, Okey would be the perfect battery mate for the up-and-comers in the future Astros rotation. 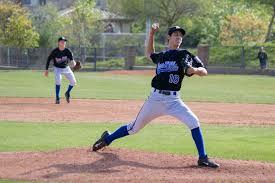 Short pitchers often get a bad rap mainly because of their inability to look dominant on the mound. To compensate, many rely on pure velocity and movement, at the expense of control, in order to throw hitters off. We’ve seen it with Marcus Stroman and Kelvin Herrera, is it possible that this stigma can be broken? Perhaps there is no better way to prove height doesn’t matter by bringing in a prospect from one of college baseball’s premier factories. Jordan Sheffield has a solid pitch selection, and a solid team behind him, but the main issue with him is control, as he does have 22 walks to his credit. Still, if his control problems can be fixed, he could be a solid mid rotation arm for the Yankees, but as of now, expect him to work out of the bullpen professionally. In five seasons as general manager of the Mets, Sandy Alderson has used only one first round selection on a pitcher, and that was Michael Fulmer way back in 2011. Considering how good the rotation is now, it almost seems as if he had the foresight to make the call not to emulate his predecessor, Omar Minaya, who loved drafting college pitchers. However, 2018-2022 will be looming, and the Mets will start making decisions on who stays and who goes. 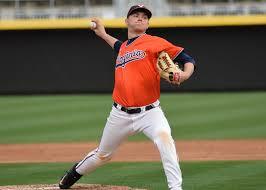 If Alderson is prepared for this, he will start looking for future rotation pieces in this draft. For me, Connor Jones is one of the more intriguing players in the draft. 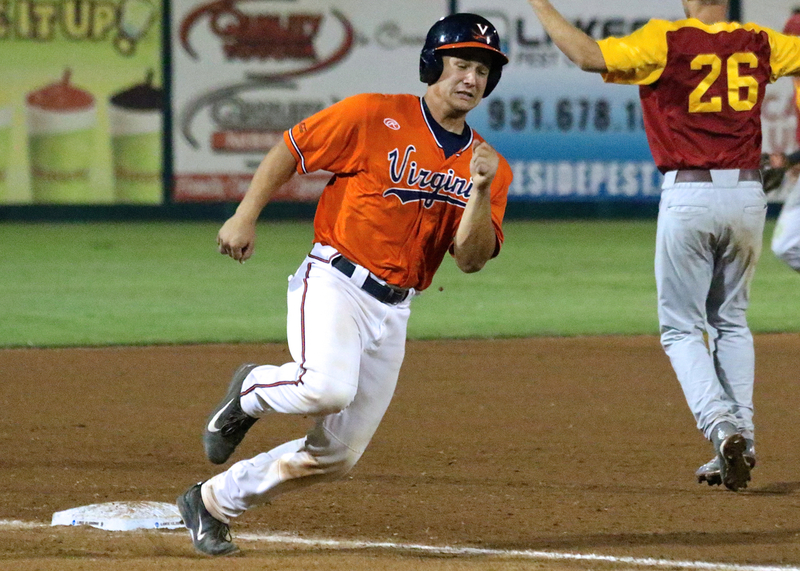 He has a track record of success, having played a key role in the Cavaliers’ first College World Series title. However, like the Cavaliers prospects before him, Hultzen, Howard, and Kirby, he does come with a red flag. Virginia starters have had a tendency to falter down the stretch, particularly when they are considered top draft prospects, and until his last start, Jones seemed destined to follow that trend until he pitched a complete game one-hitter against Boston College. Still, Jones has a long way to go to prove he’s still legitimate first round material. Part of me feels that Jones will succeed if coached the right way, i.e, the right pitching coach works with him. If that’s the case, then Jones would greatly benefit working with Frank Viola and Dan Warthen. He definitely could be a solid future replacement for any Mets starter that leaves via free agency. Roster construction in baseball is one of those things that you know is either black or white. You either build a team from the ground up, or you buy a team through trades and free agency. At least, that’s what we’ve grown to accept. However, there are exceptions to the rule. The Dodgers have managed to create a hybrid strategy, giving big money to players and still managing develop talent that can contribute in the near future. 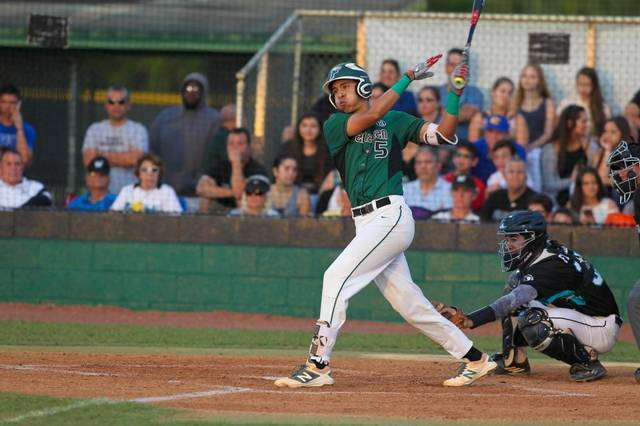 Will Benson is interesting in the fact that he projects to be a power hitter, but has yet to build into his power. Still, his versatility as a first baseman and outfielder make him a valued commodity, especially for the Dodgers, who would stand to have plenty of roster questions by the time he’s ready. Benson looks to go in as a first baseman, but if Cody Bellinger continues to develop at the pace that he has, Benson could look to replace Andre Ethier in the outfield. He can throw, so he wouldn’t be a liability there. The Toronto Blue Jays have always been a team that has been heavily reliant on offense, and the roster they have constructed is no exception. With Jose Bautista in a contract year, Josh Donaldson coming off an MVP season, and Troy Tulowitzki in his first full season away from Colorado, it’s clear that as long as Toronto focuses on offense, they will remain competitive in the AL East. 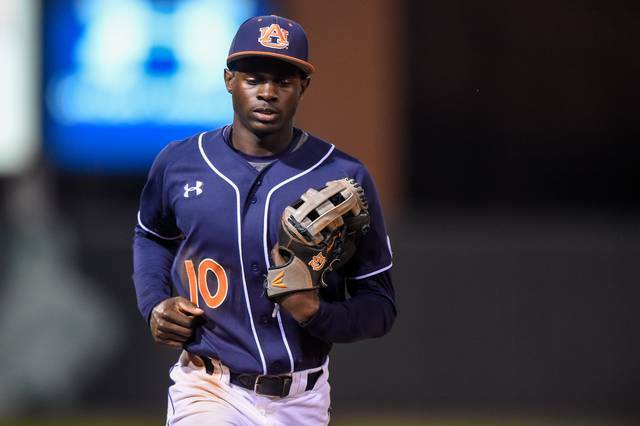 I did mention that Jose Bautista is in a contact year, and at 36, it’s debatable how long he can continue to be the late blooming star that he has been, so in my opinion, the Jays could stand to take a look at a pro-ready college outfielder, like Anfernee Grier. Grier has had an unbelievable season as one of the members of Auburn’s potent offense, having had at least one hit in all but one game this year. Grier isn’t afraid to go all out on defense, and his power potential ensures that whenever he comes up, he will be a threat. 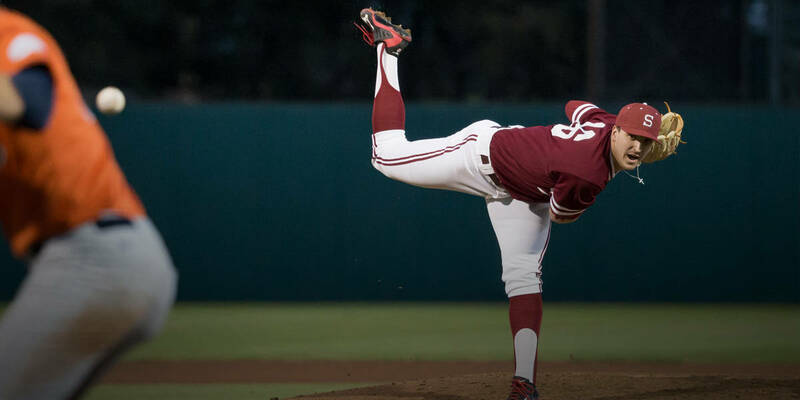 One of the first rules of the MLB draft is that nothing is certain, and this is especially true when it comes to determining who is the best college pitcher. Because of this, many surefire top 5 or 10 players often find themselves dropping due to an underwhelming junior season. It’s a humbling experience, but in some cases, those prospects end up proving that they should have been taken early in the first place. It’s been an especially rough season for Alec Hansen however, and under any other circumstance, I’d pull him out of the first round entirely. However, part of me feels that Hansen could benefit by being drafted by Pittsburgh, where Ray Searage could get him back on track. 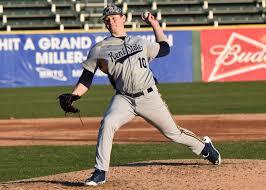 Hansen does have the stuff to be a rotation arm, and the build as well. It will be tough to evaluate him right now, as he was recently demoted to the bullpen, and has yet to see action, but if any team decides to take a flier on him, I could see Pittsburgh doing so as a succession plan for Gerrit Cole, should he depart via free agency. The Cardinals are one of those teams that have the good problem of too much talent. Because they are among the best at developing homegrown talent, they often find themselves with a surplus, that can be dealt for pieces to be used for a postseason run. Of course, now would be a great time for them to start using some of the talent they have obtained, as some of their key pieces from their 2011 title are starting to get old. 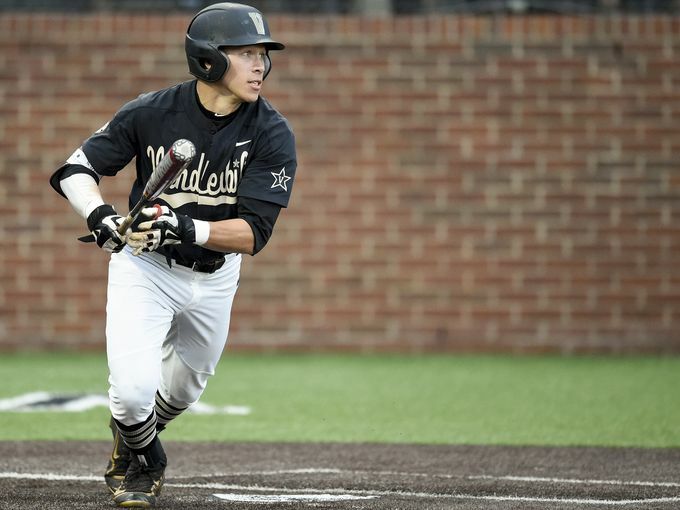 I like Bryan Reynolds here because while scouting reports insist that he’s a developmental college prospect, he is a Vanderbilt player, and Vandy has had a solid track record of producing players with big league potential This season, he’s been absolutely impressive, batting .328 while leading the team in home runs. In my opinion, Reynolds would be an excellent successor for Matt Holliday, and if his stats translate to the big leagues, he could be a solid #3 hitter in the Cardinals lineup. 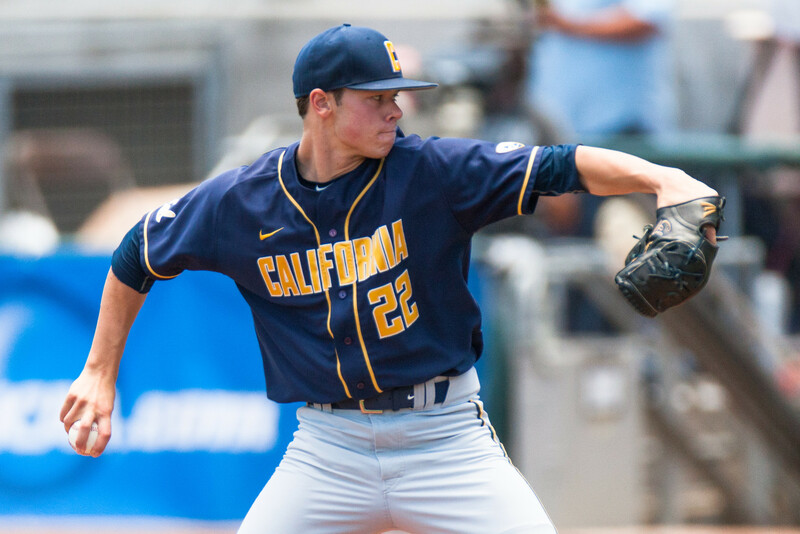 Drew Mendoza is a lot better than his draft position suggests. Considering his pro potential as a third baseman, and his doubles power, he could really play Petco Park to his advantage. Avery Tuck is practically in the Padres’ backyard, but like Logan Shore with Minnesota, he wouldn’t be a token hometown pick. His potential for growth will definitely make him a serious consideration for AJ Preller and the Padres’ brass. 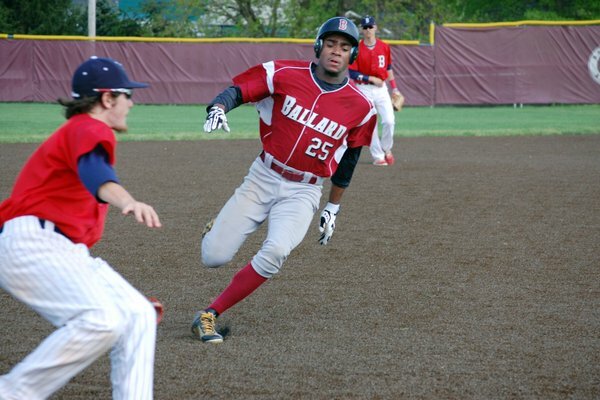 While Nick Banks may not have had the season that everyone has expected him to, the fact that he is a solid hitter that can play a corner outfield spot should make him particularly attractive to any team looking for a short term developmental project. 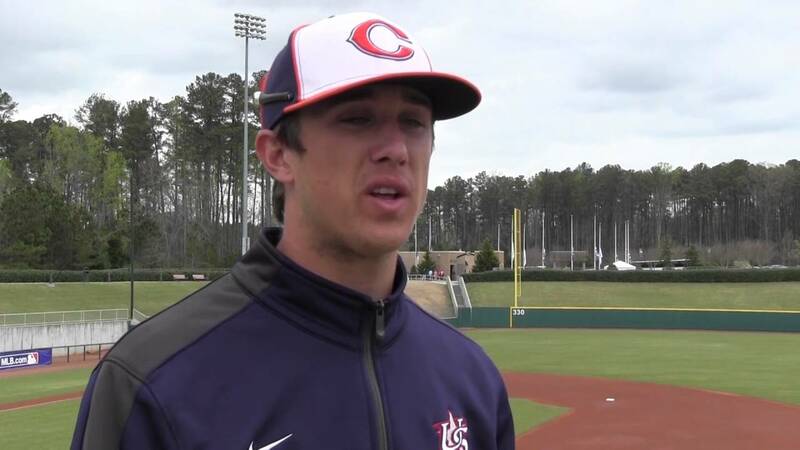 Carter Kieboom may have pro potential as a third baseman, but if the Orioles do take him, they could use his solid hitting skills to justify using him as an offensively minded shortstop, a potential heir to JJ Hardy. 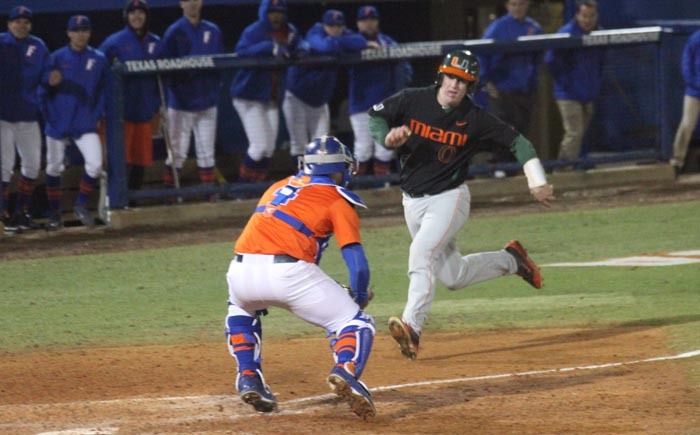 Though Zack Collins is a catcher, his power makes it difficult for any team to justify sticking him behind the plate. If he’s drafted by an NL team, I could see him playing first base. Considering Ryan Zimmerman is starting to slow down, I see plenty of reason for the Nats to look into a future first baseman. 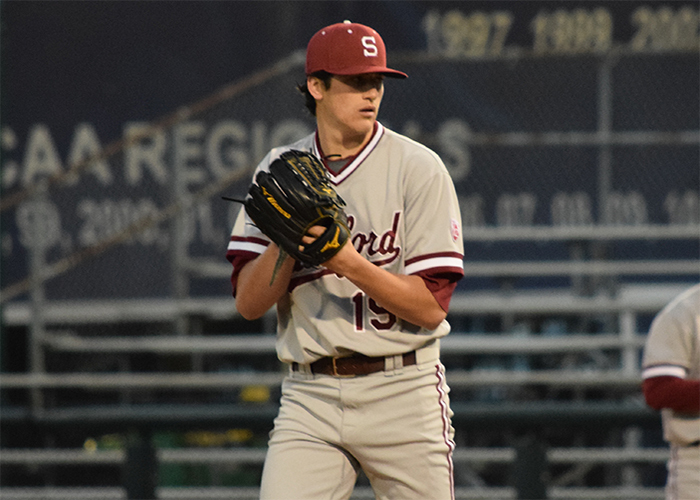 Eric Lauer has rebounded from being shelled in his first outing to become one of the more intriguing small-school pitchers in the draft. 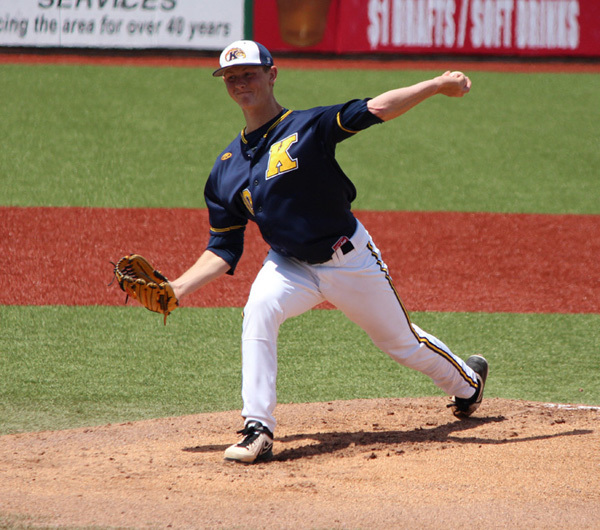 The Golden Flashes ace has a solid array of pitches that should convince the Nationals to take him. After striking out 15 in his season debut, Braxton Garrett and his pro level curve should definitely garner a lot more attention as the season goes on. 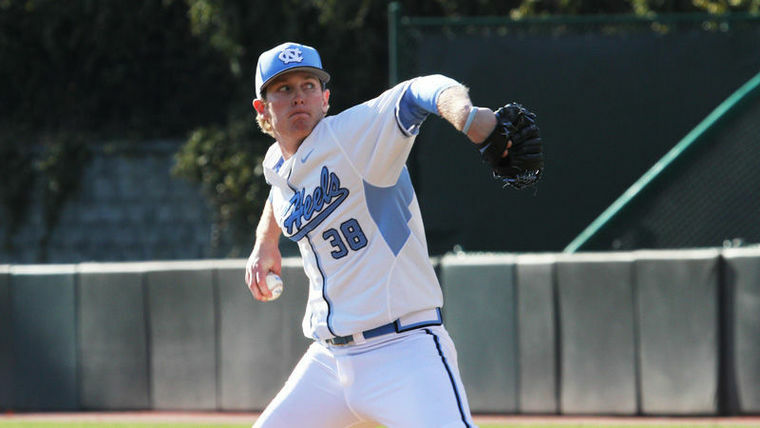 It wouldn’t be the first time the Mets went in-state, but Ian Anderson and his fastball look to make a compelling case to be, at the very least, a compensatory first round pick. Considering there’s an unwritten rule that there must be at least one prep product from the Northeast taken in the first round, Anderson makes the most compelling case. 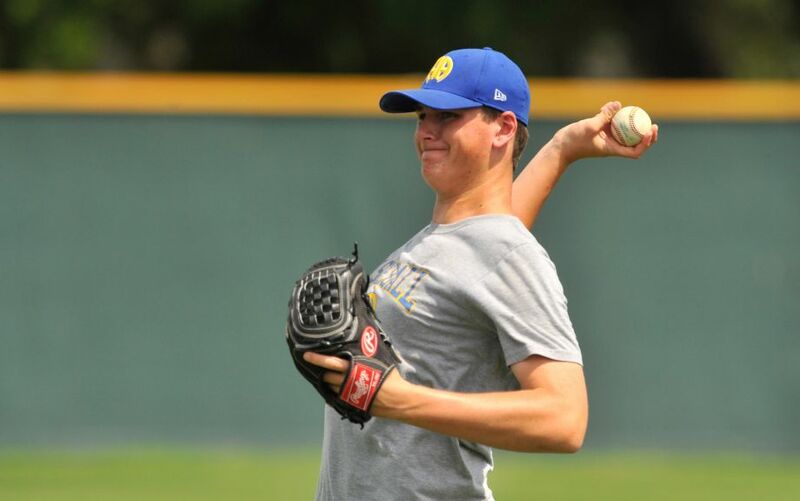 There’s no doubt in my mind that Zack Burdi has the potential to be just as good, if not better than his brother Nick. At the very least, he’s LA’s closer for the future, at the most, he’s a future member of their rotation. Robert Tyler and his workhorse mentality would serve him well if he wanted to break into the Cardinals’ rotation. He really has bounced back from a slow start to his junior season. Kevin Gowdy has really seen his stock rise, mainly due to a quick recovery from an underwhelming showcase circuit. His potential for growth from an above average pitch repertoire gives him the opportunity to show that he has the starting potential that scouts have been gushing about lately. And with that, we conclude this month’s mock draft. Tune in next month when we do the first, compensatory, and competitive balance picks in the May edition of MinorLeagueMadhouse’s 2016 MLB Mock Draft.